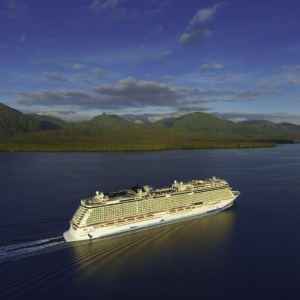 Imagine exhilaration whilst exploring the wilds of Alaska. 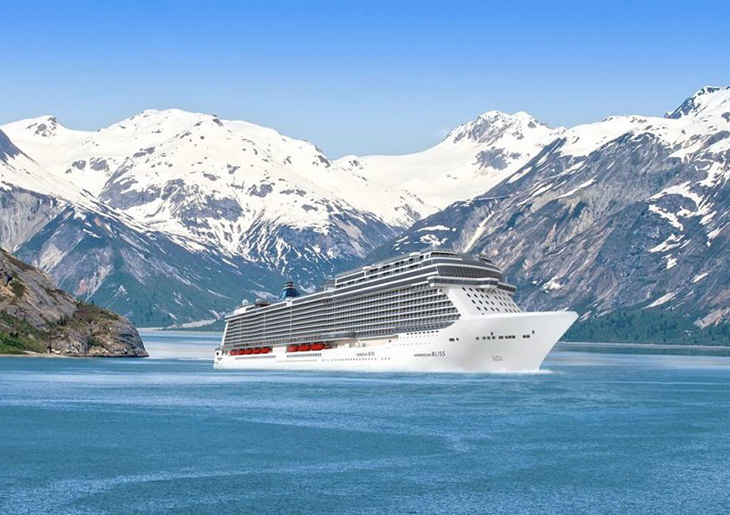 Explore, rugged wilderness and awe-inspiring natural wonders of Alaska. 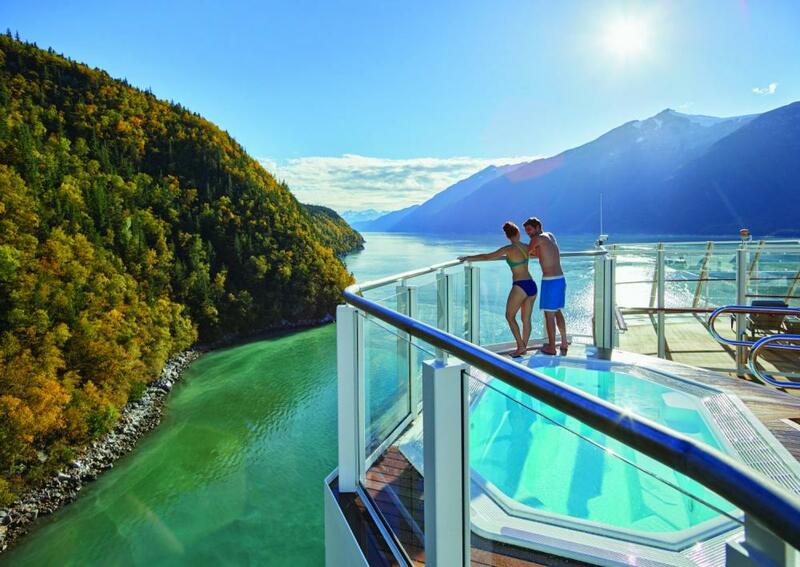 This cruise showcases some of the most magnificent and beautiful sights in the world. 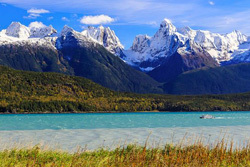 It is a land of staggering natural beauty. 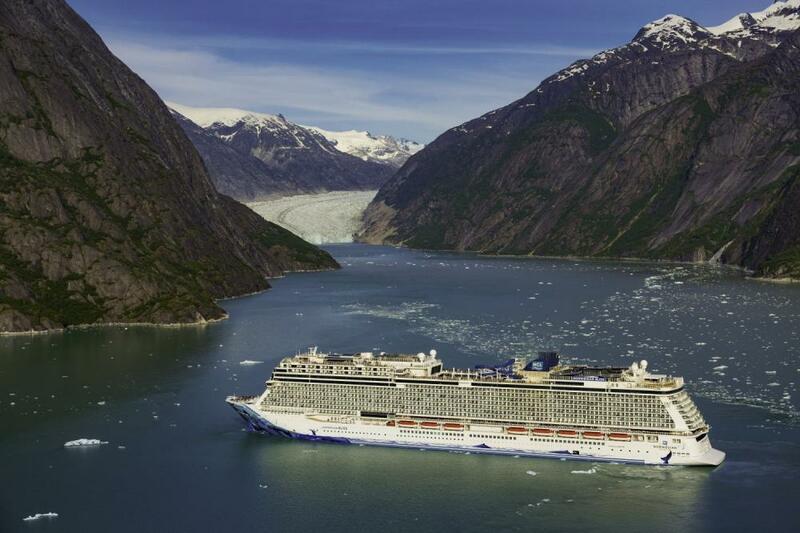 Virgin forests blanket the hills and massive glaciers inch toward the sea. 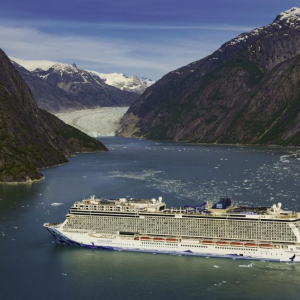 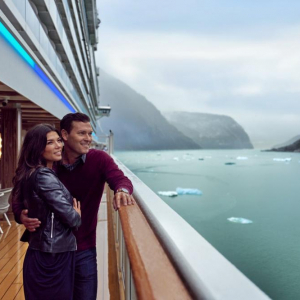 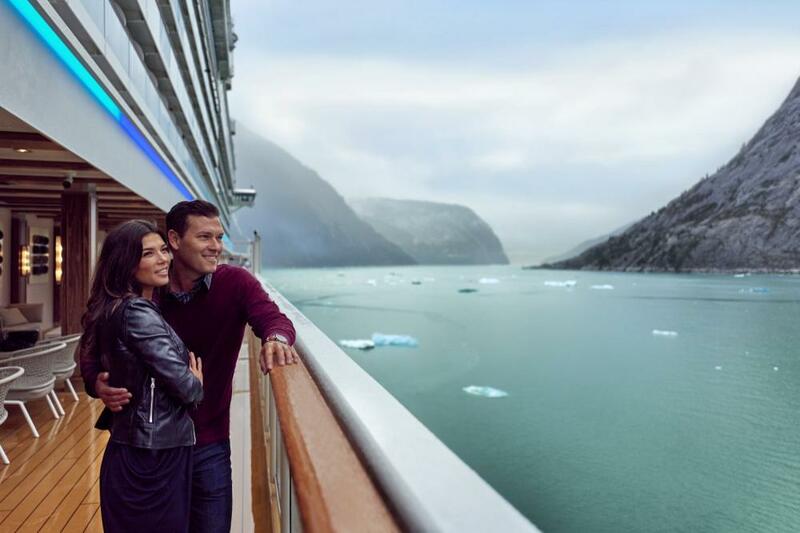 Sail through the wild terrain of Alaska and discover the natural wonders that await you. 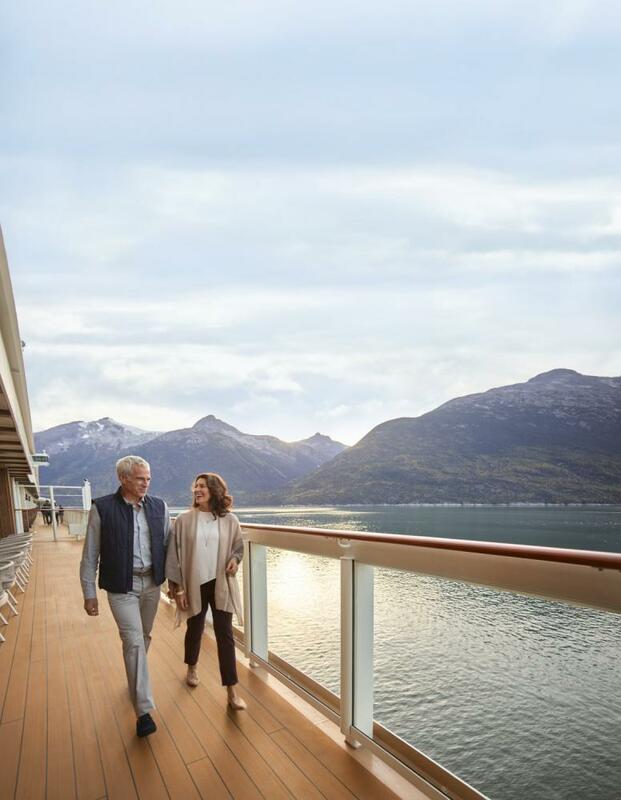 See the rugged beauty of this pristine frontier and the best of nature — including fjords, wildlife and mountains galore. 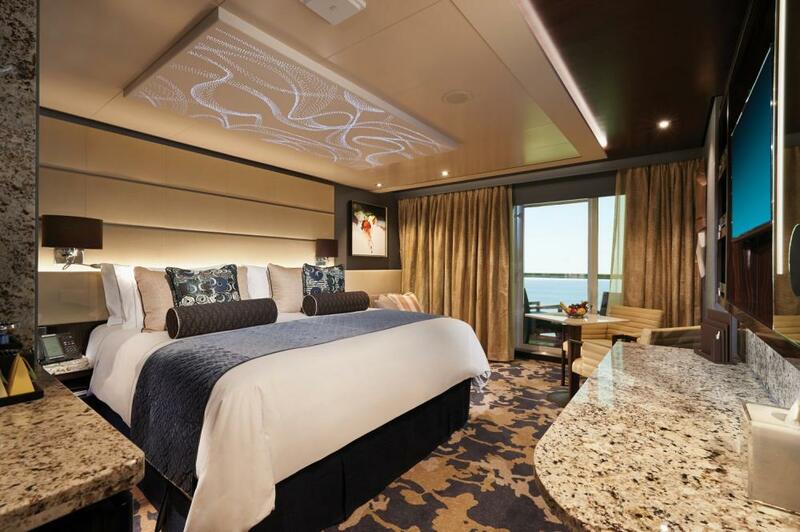 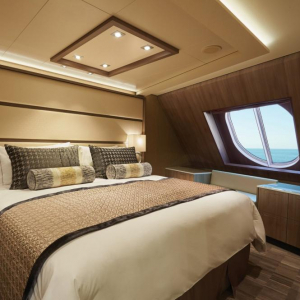 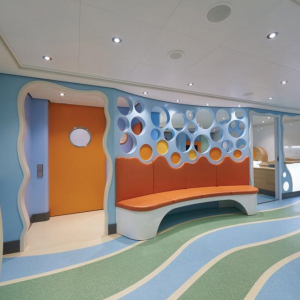 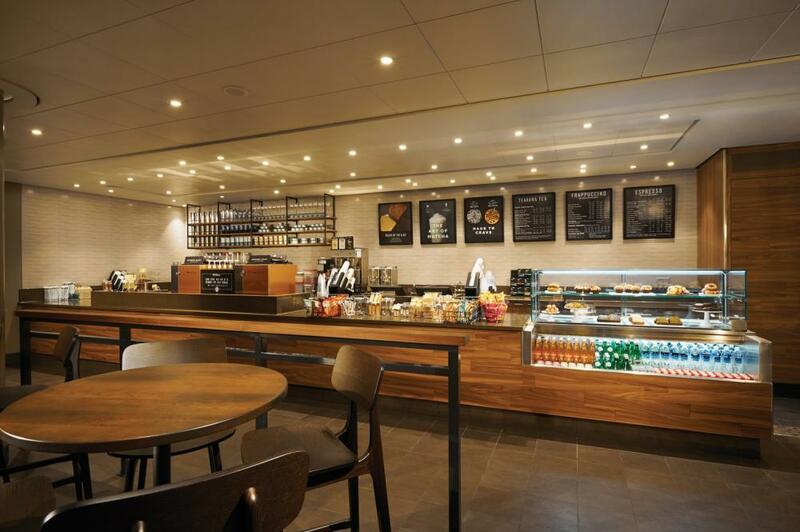 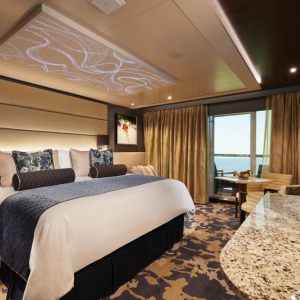 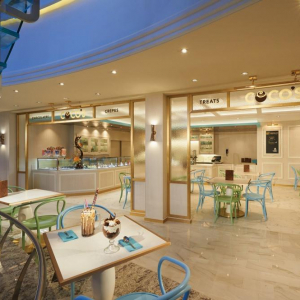 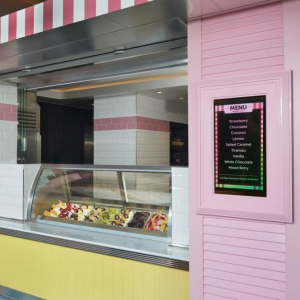 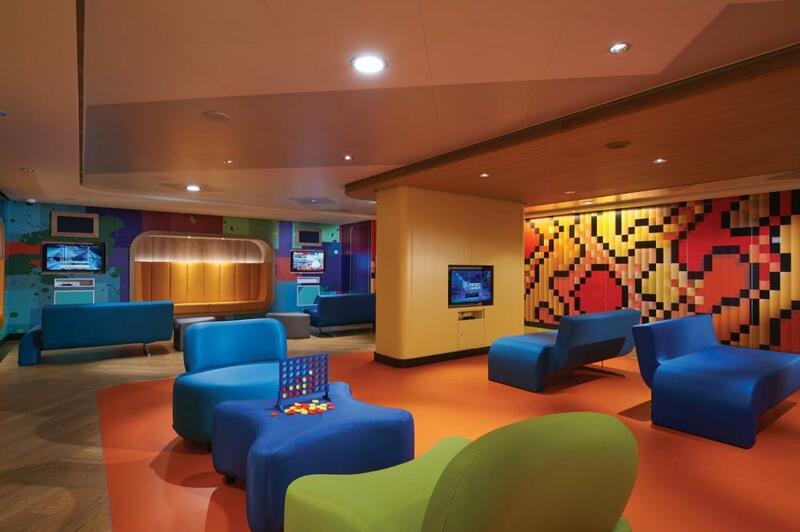 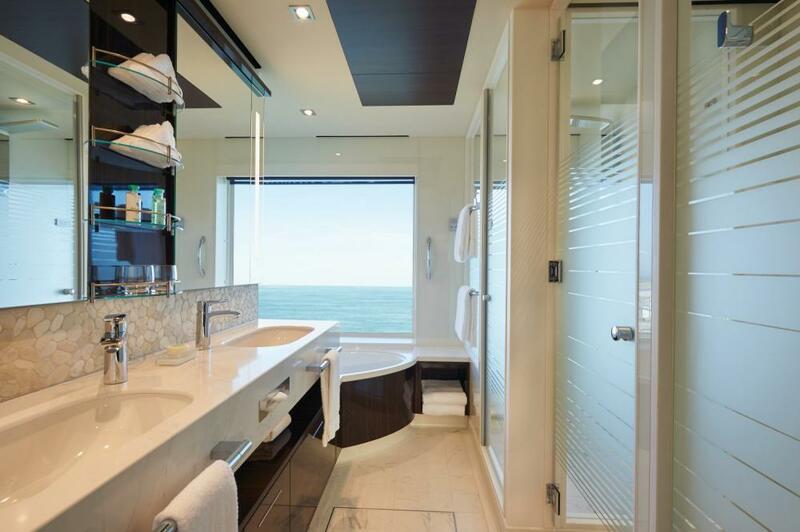 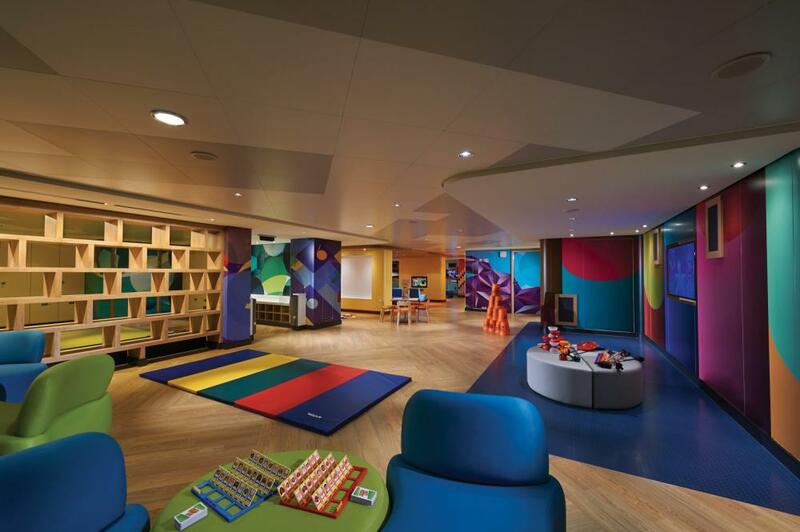 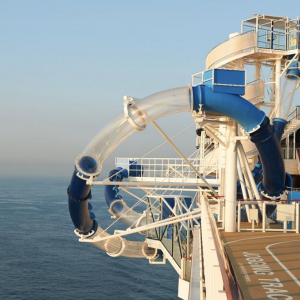 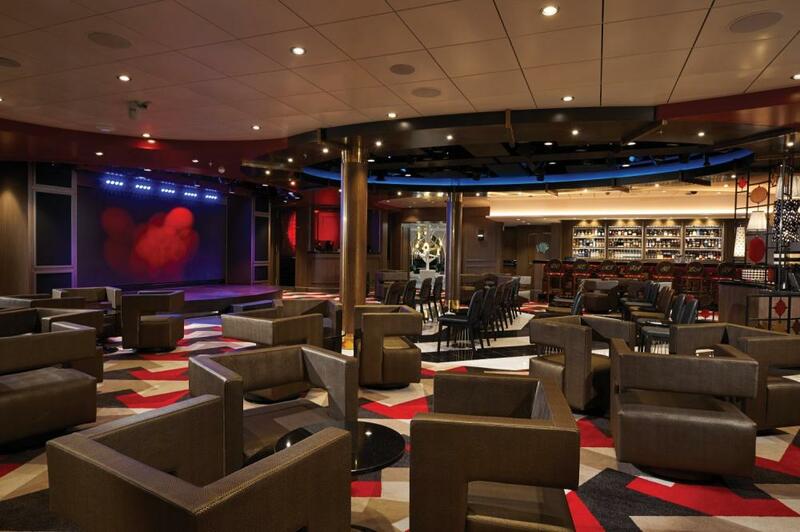 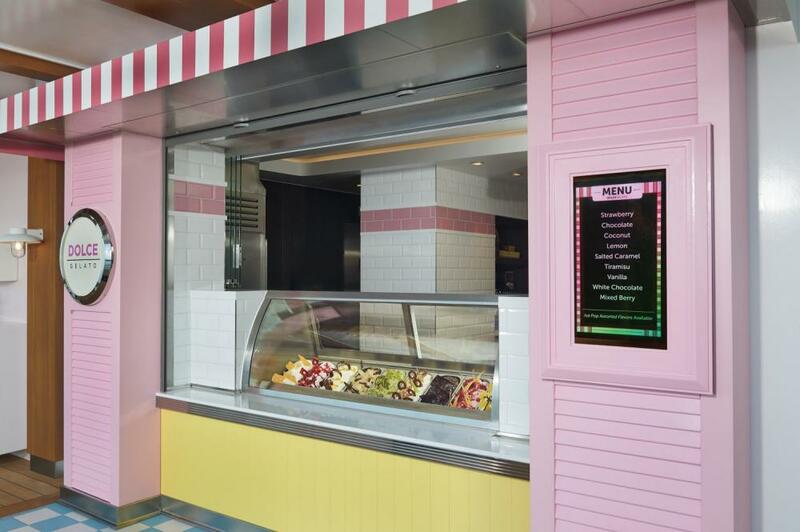 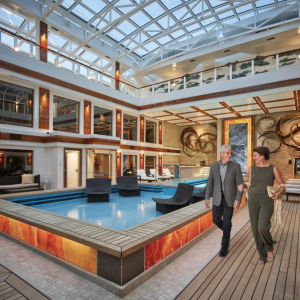 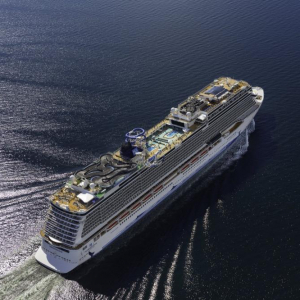 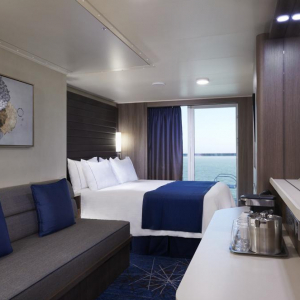 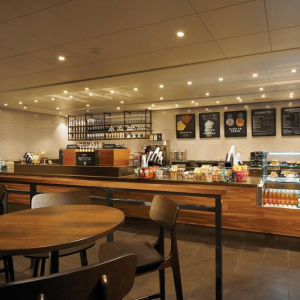 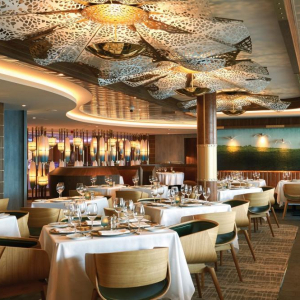 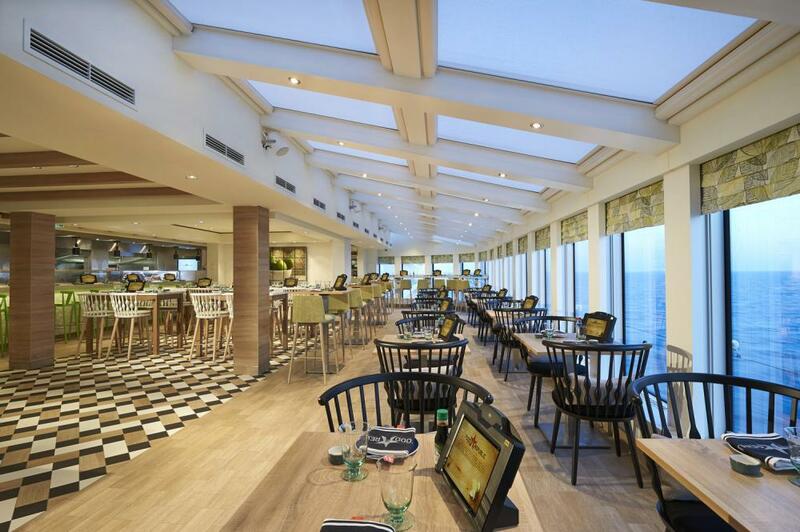 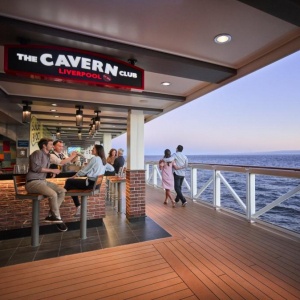 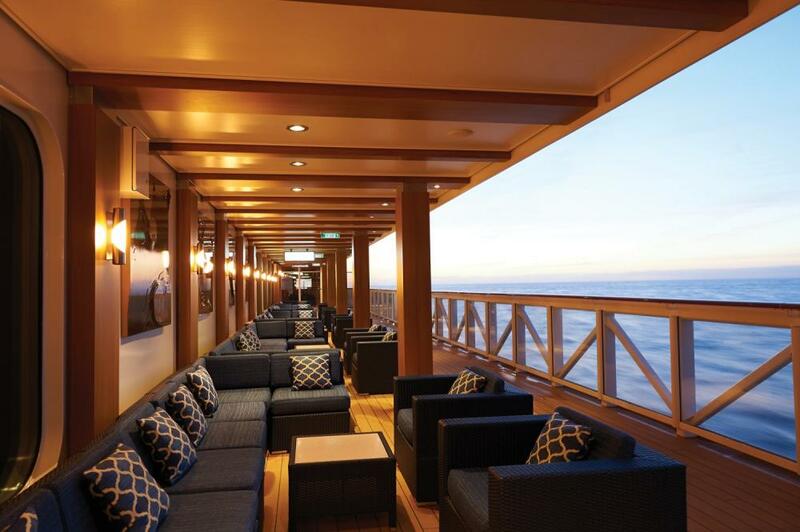 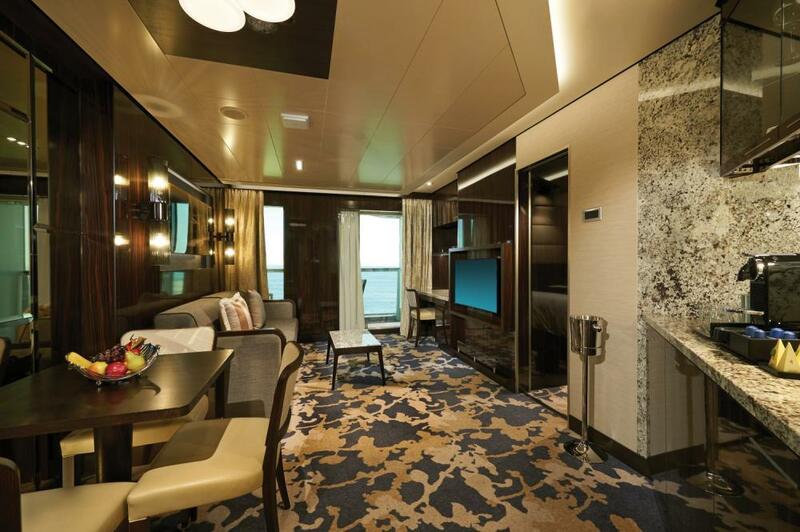 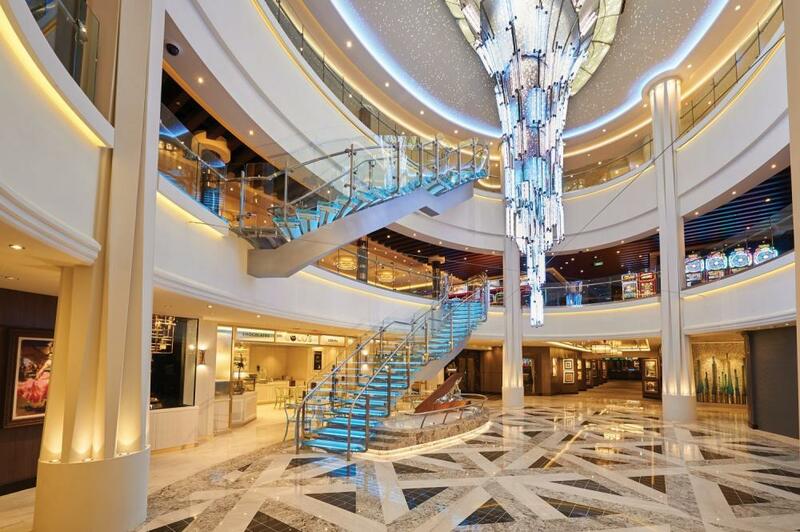 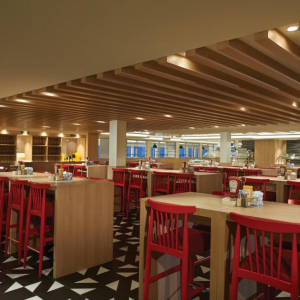 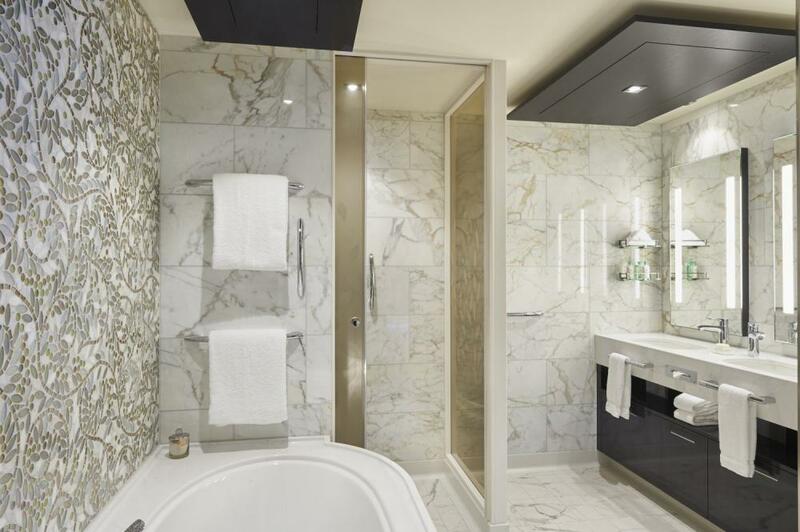 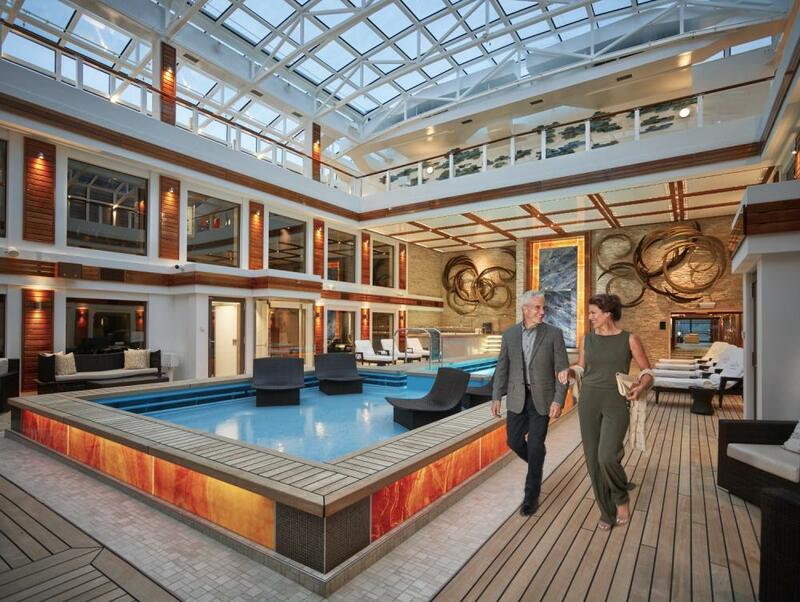 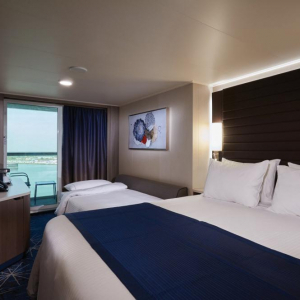 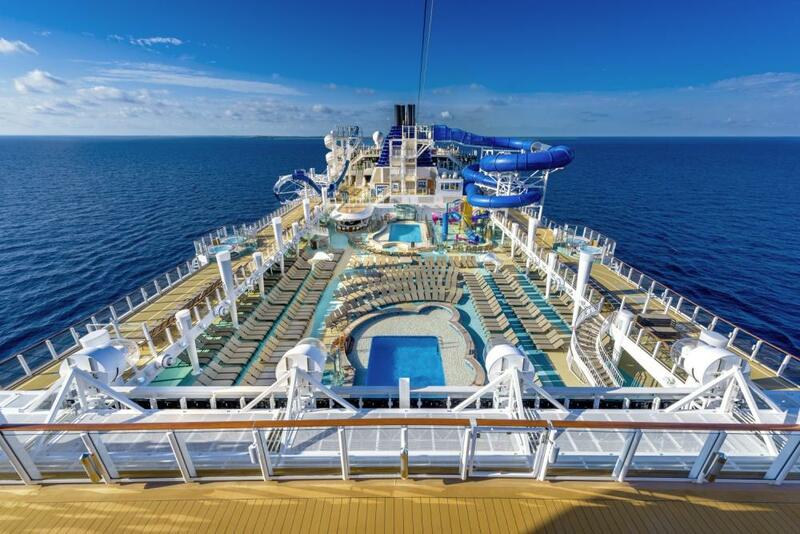 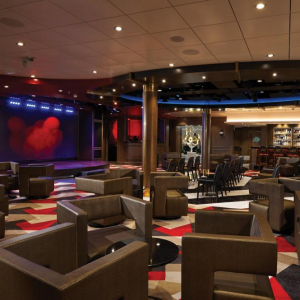 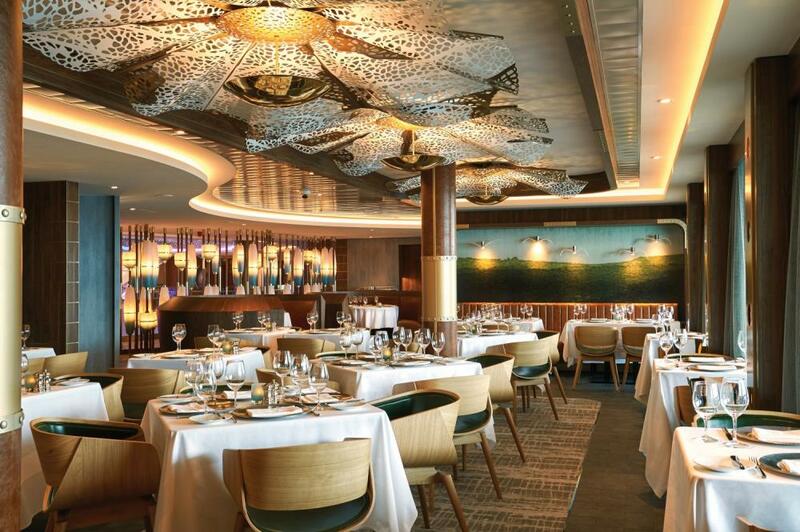 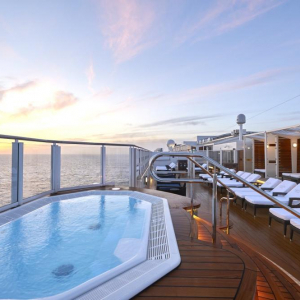 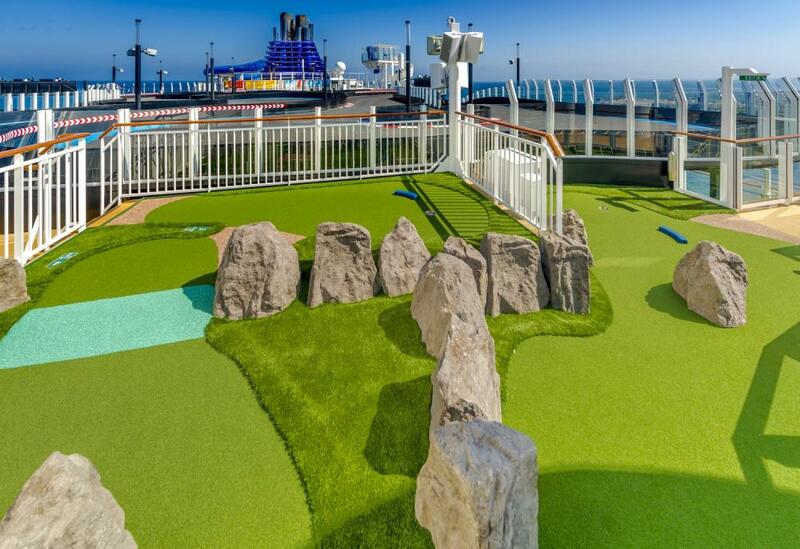 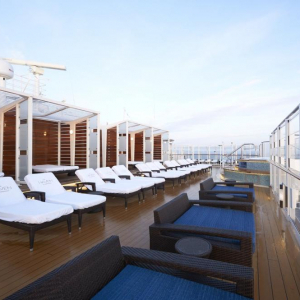 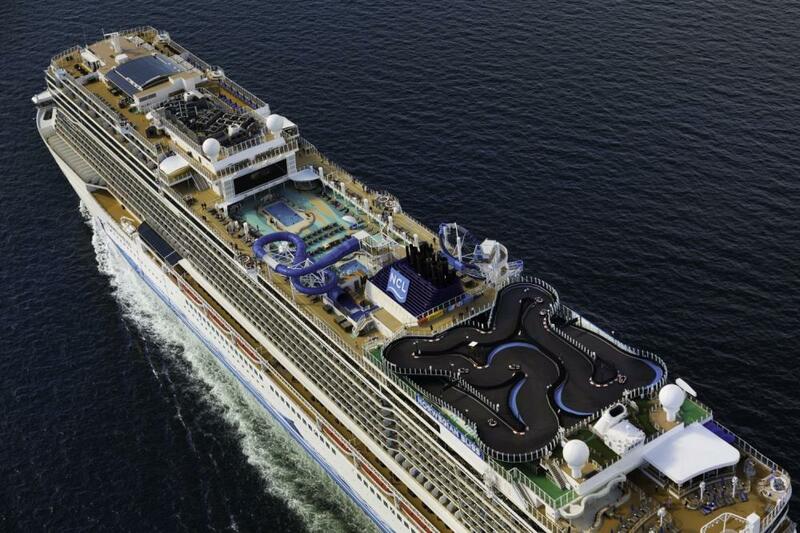 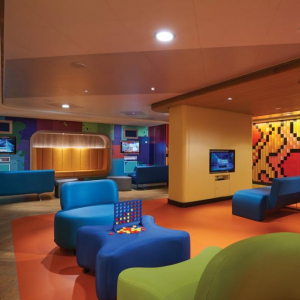 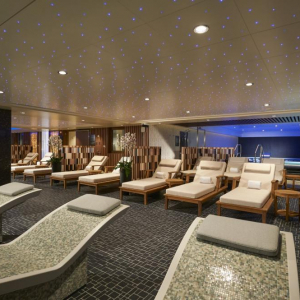 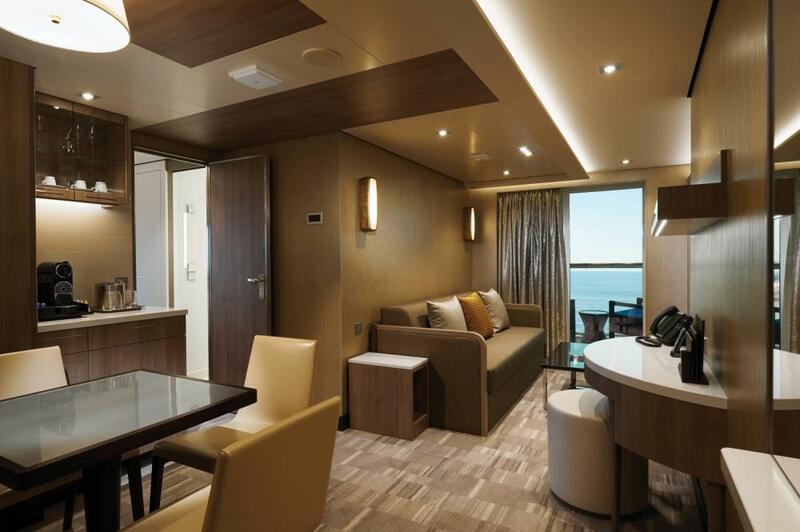 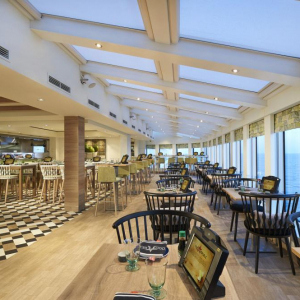 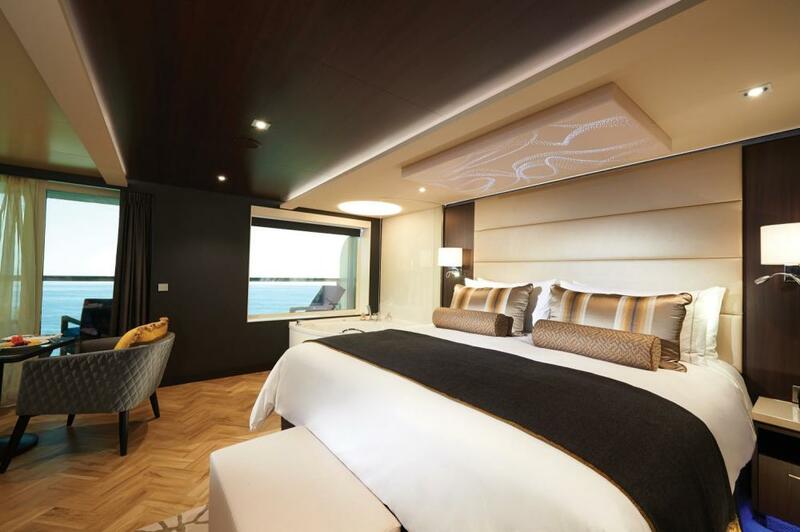 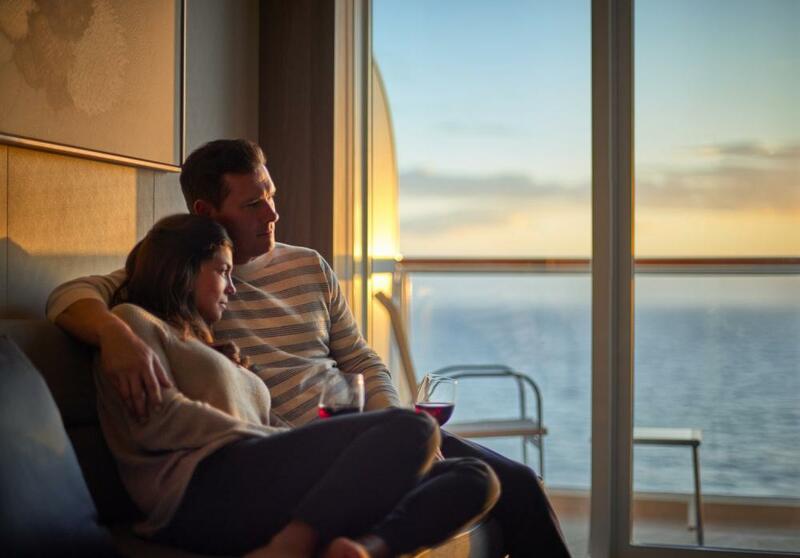 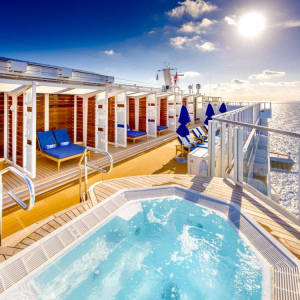 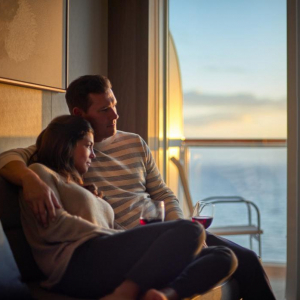 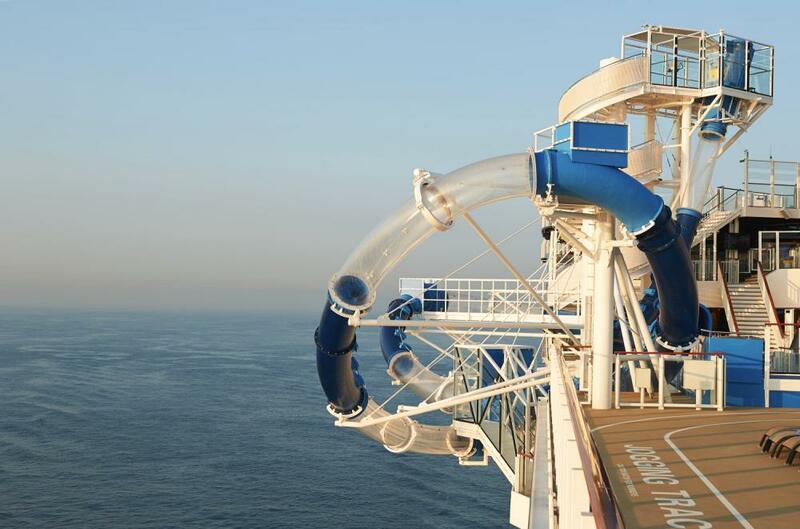 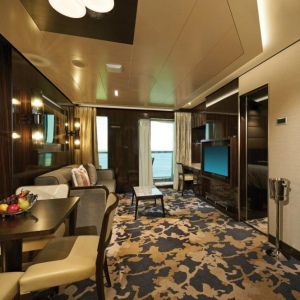 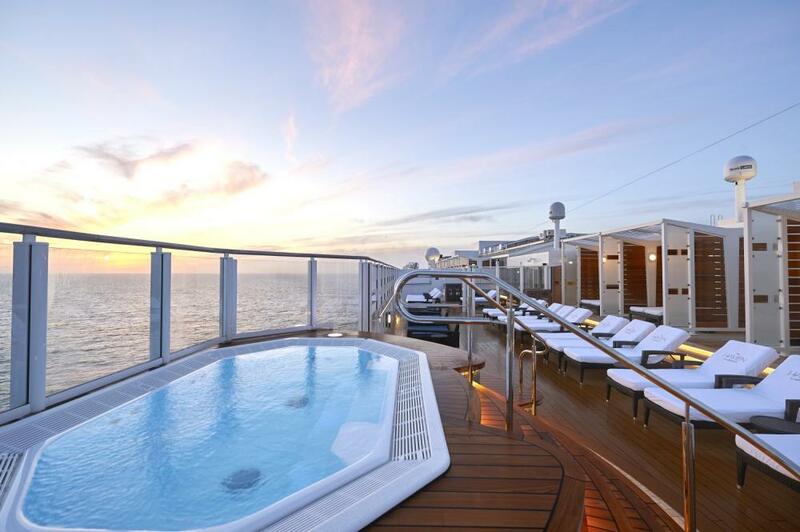 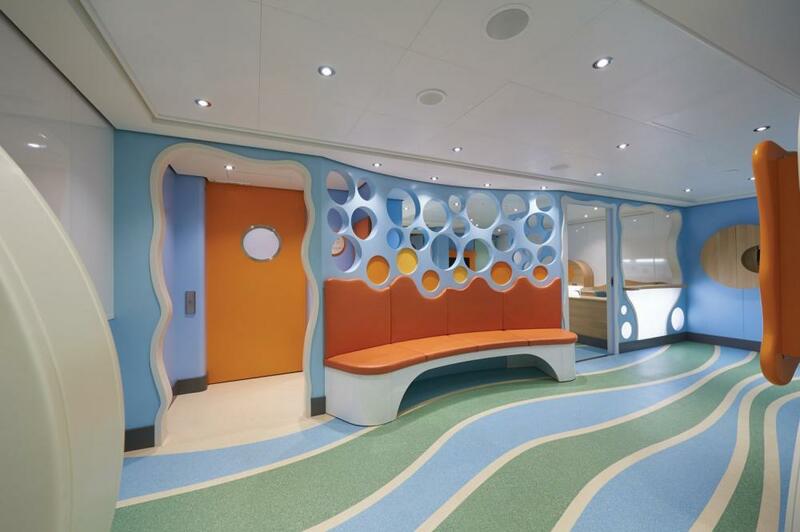 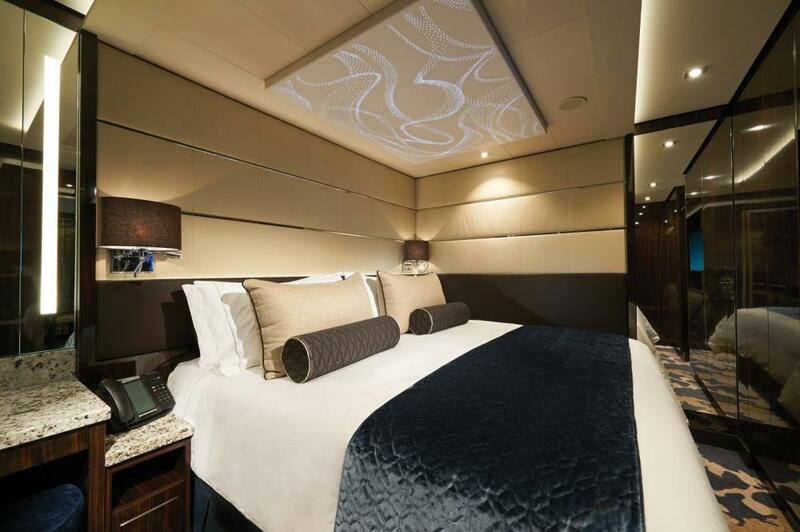 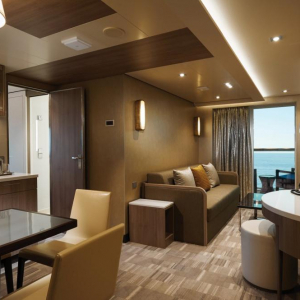 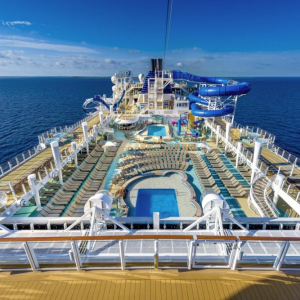 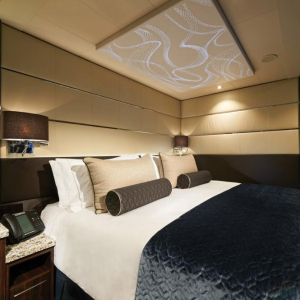 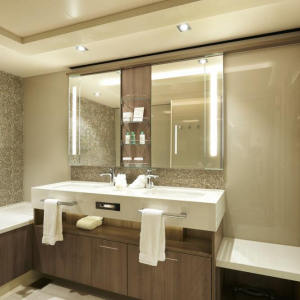 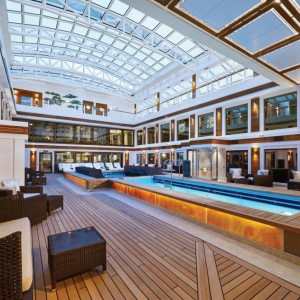 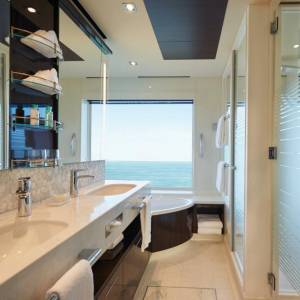 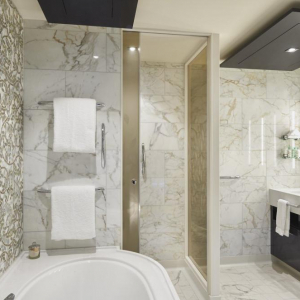 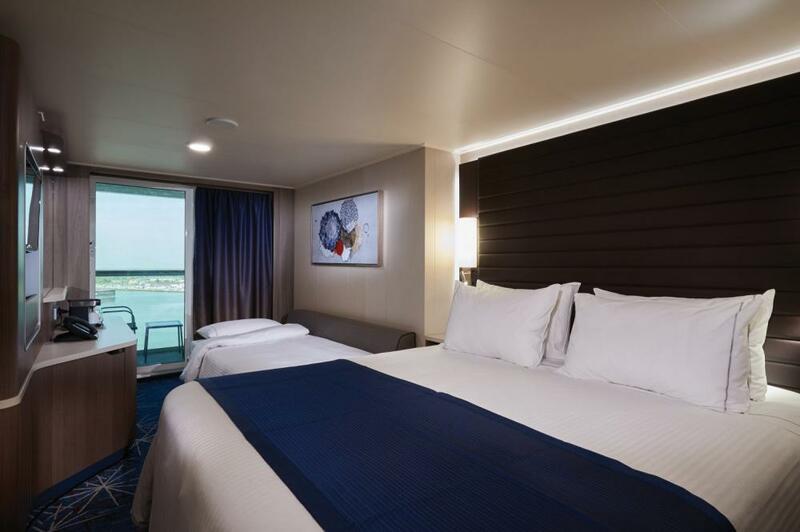 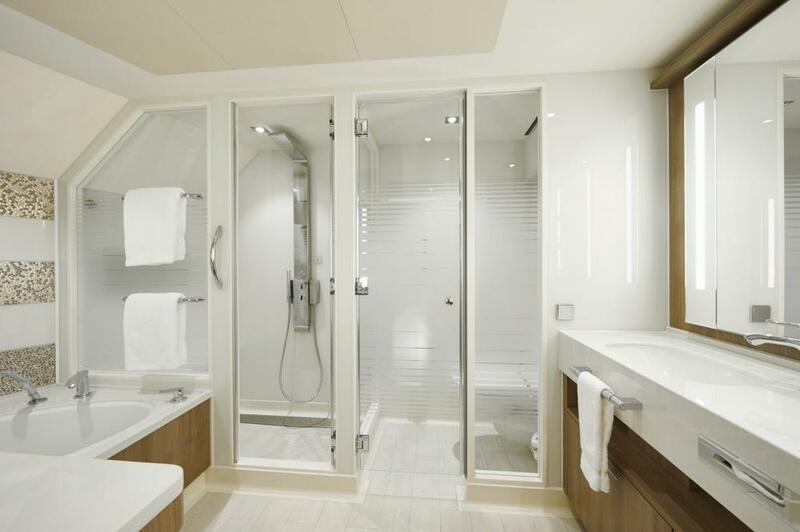 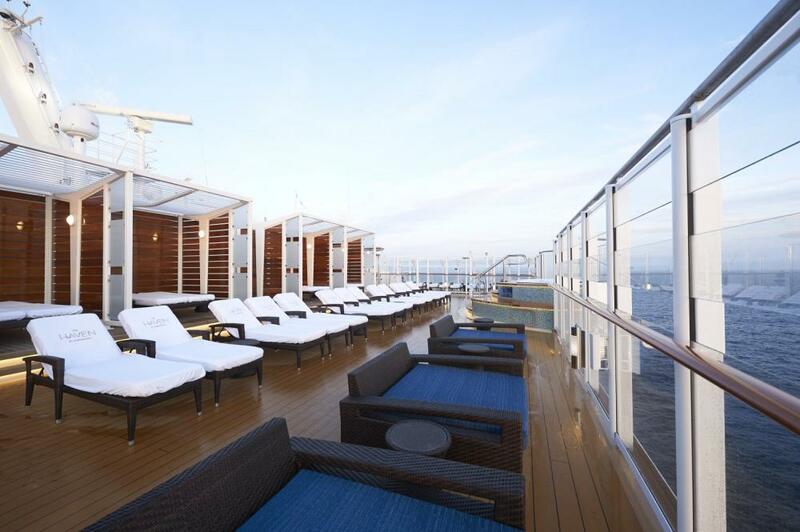 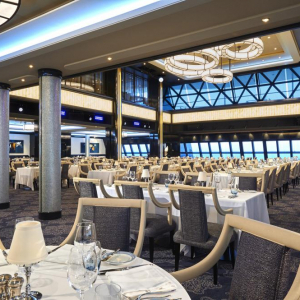 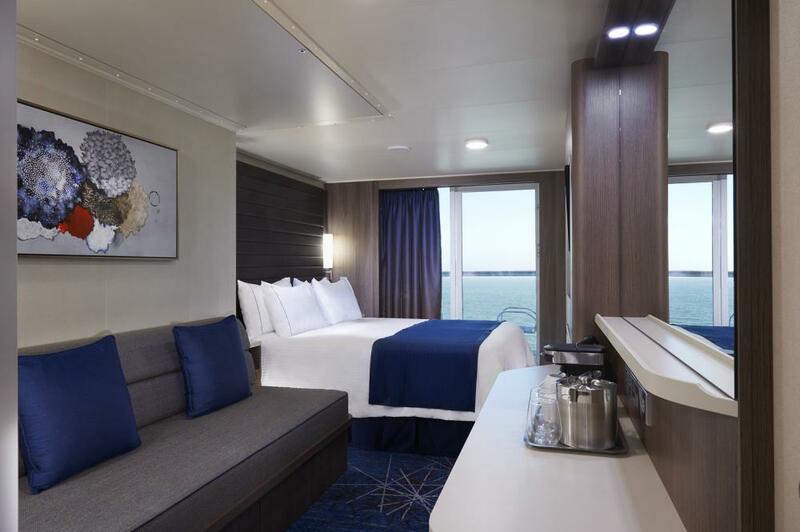 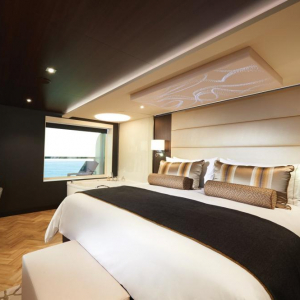 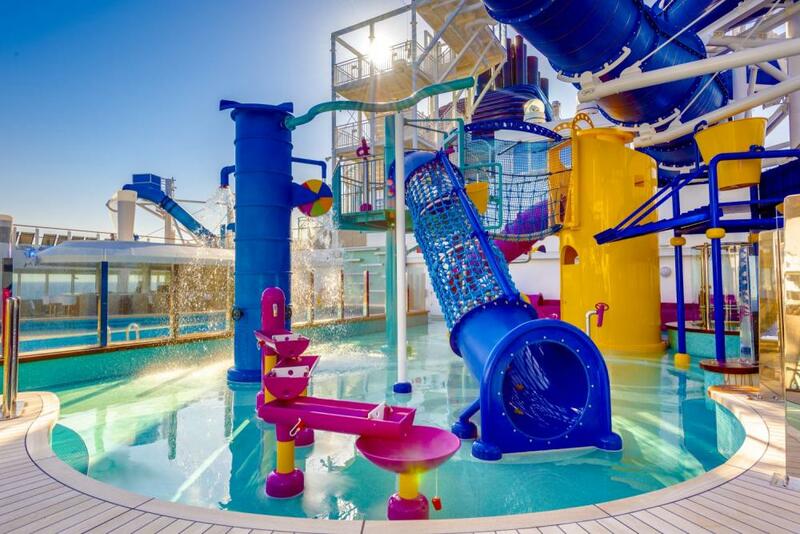 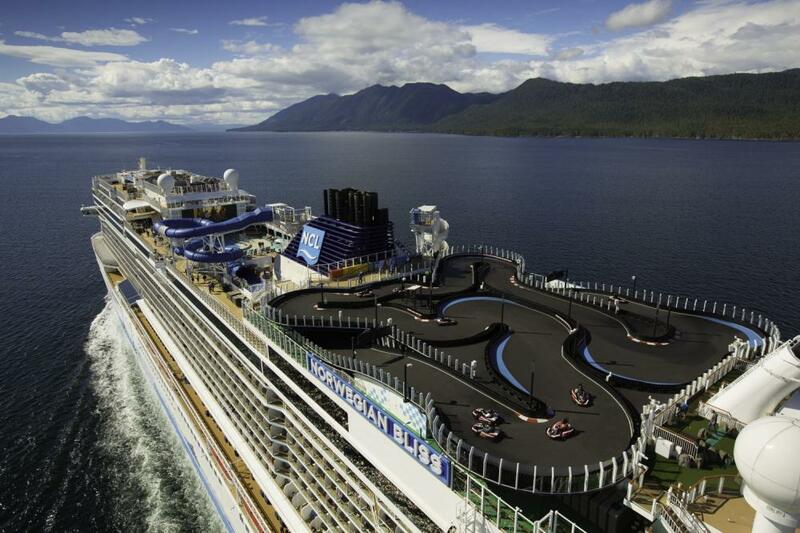 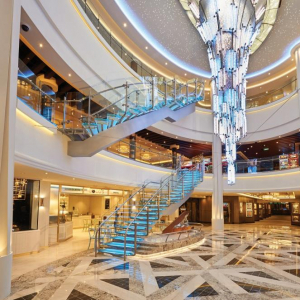 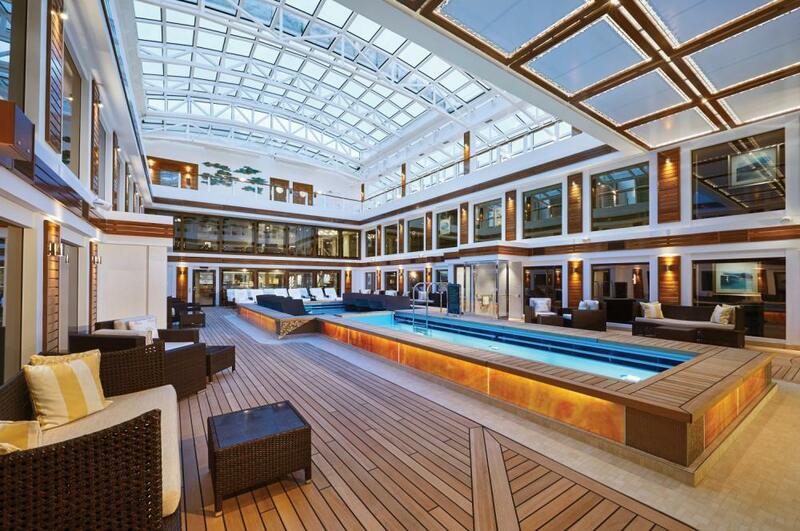 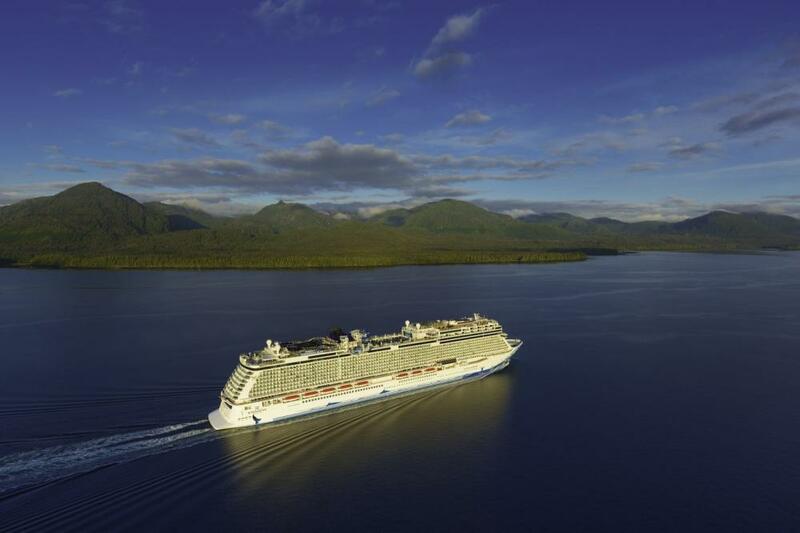 Spend your holiday on Norwegian’s newest and most incredible ship — Bliss. 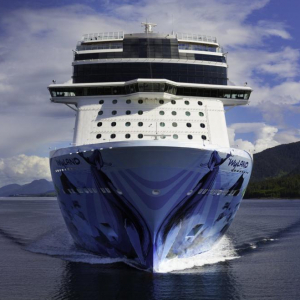 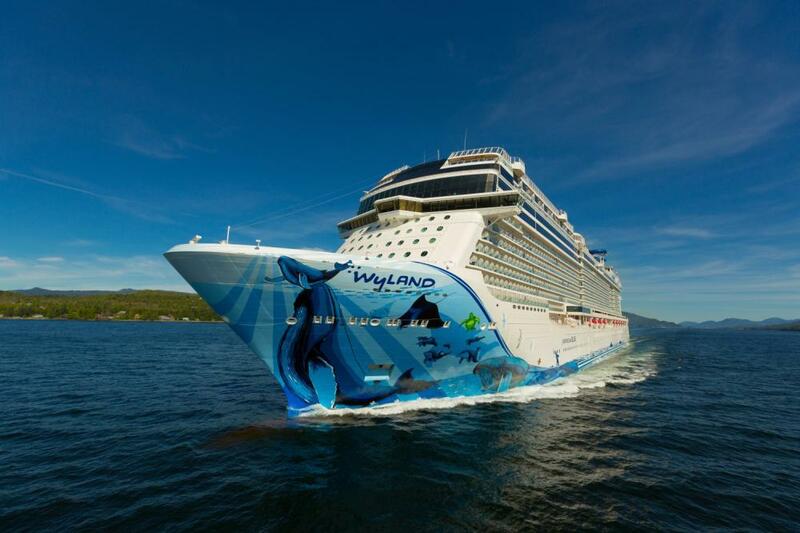 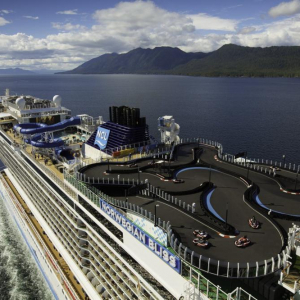 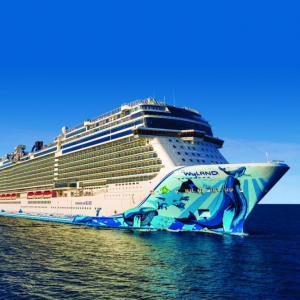 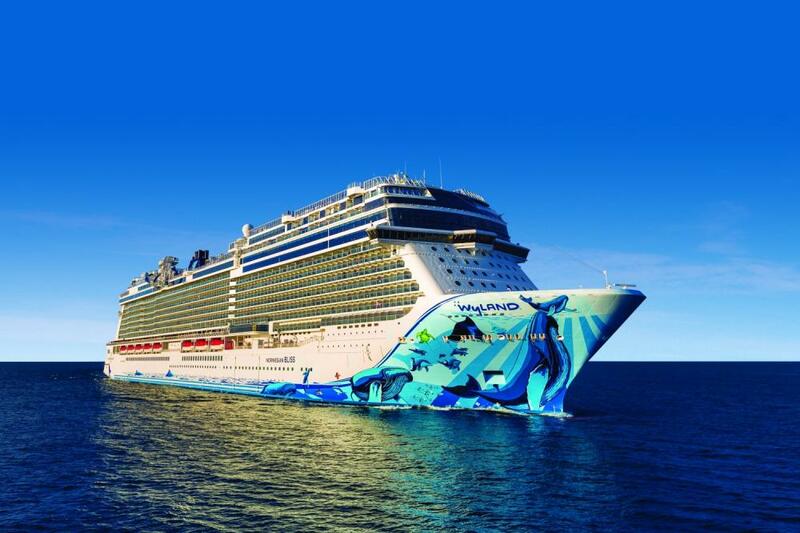 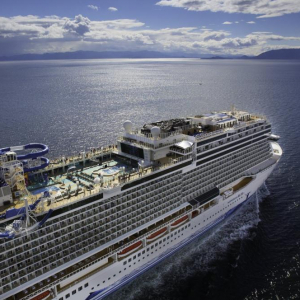 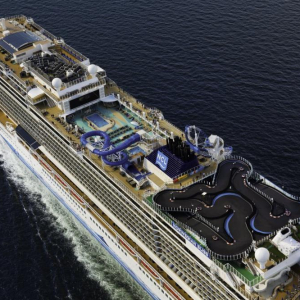 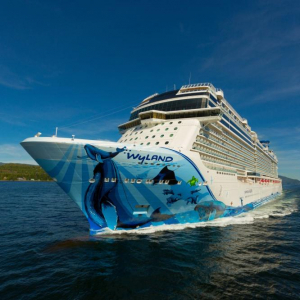 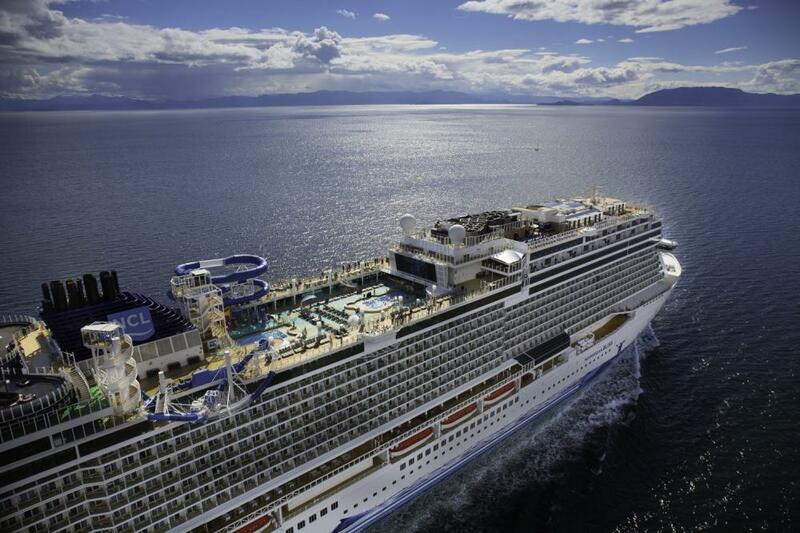 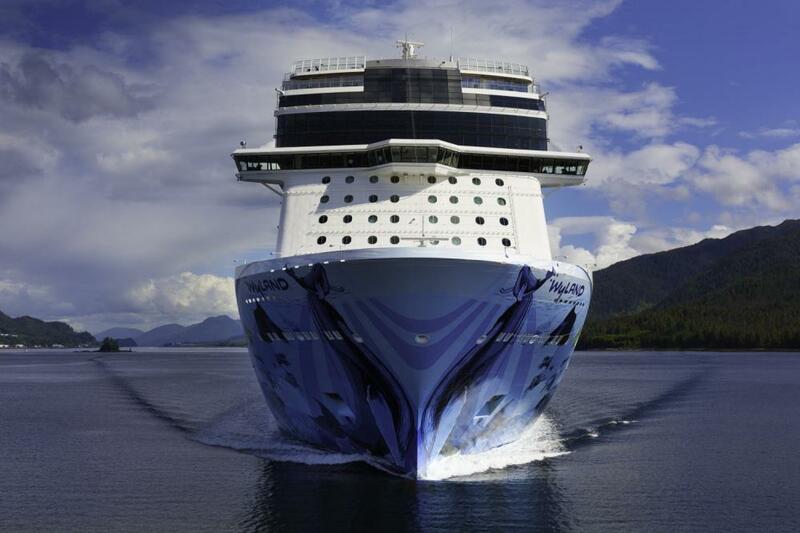 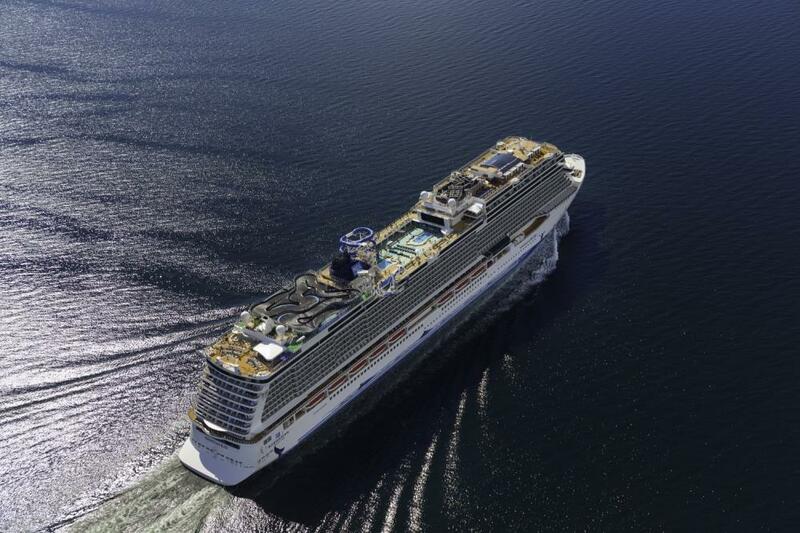 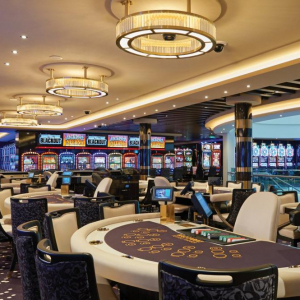 The Norwegian Bliss may accommodate up to 4250 people. 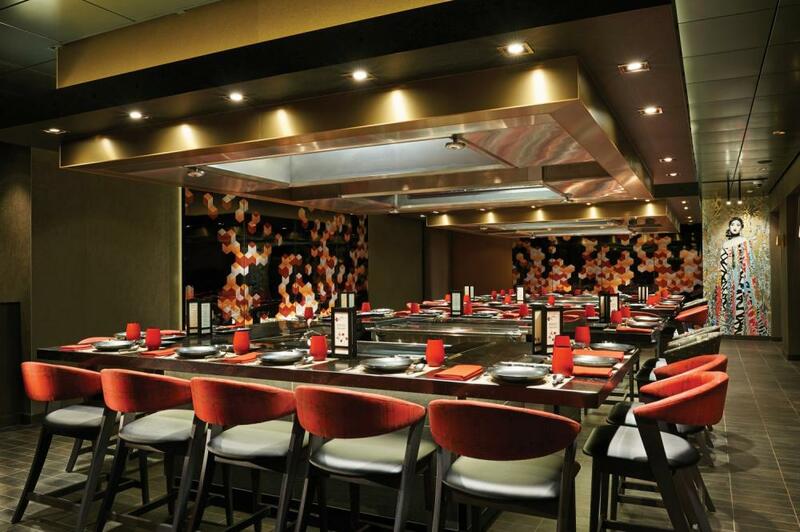 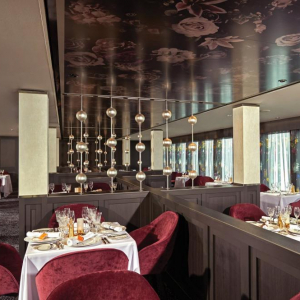 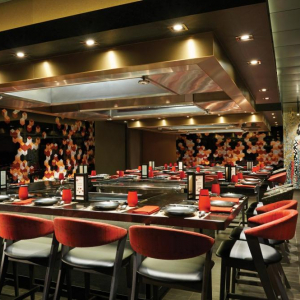 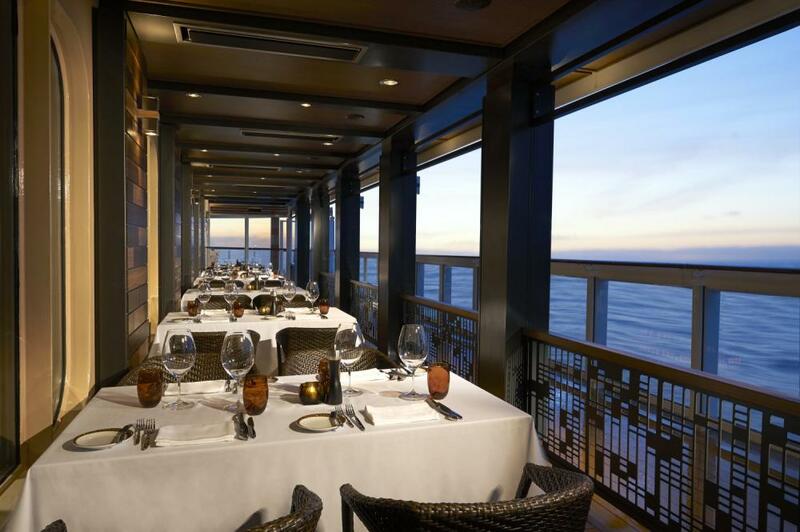 You can experience the best dining in almost 30 restaurants. 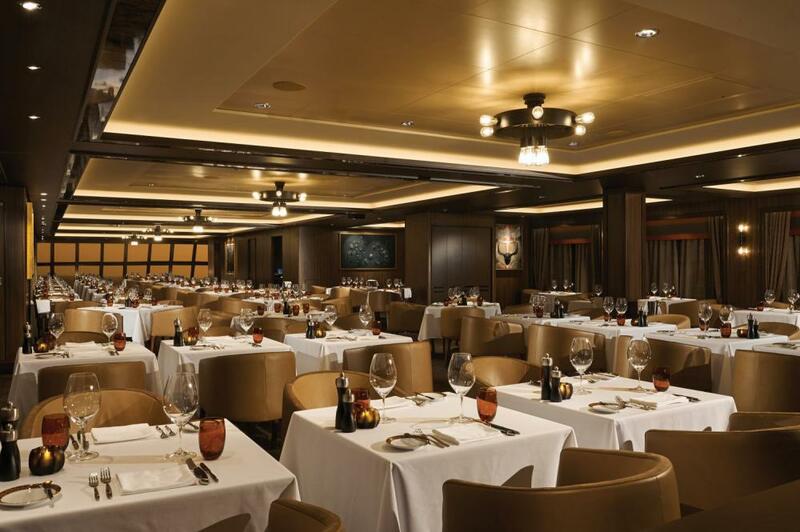 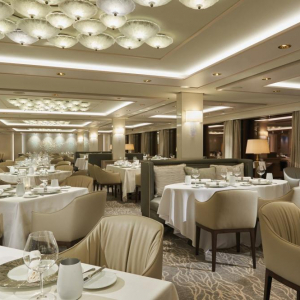 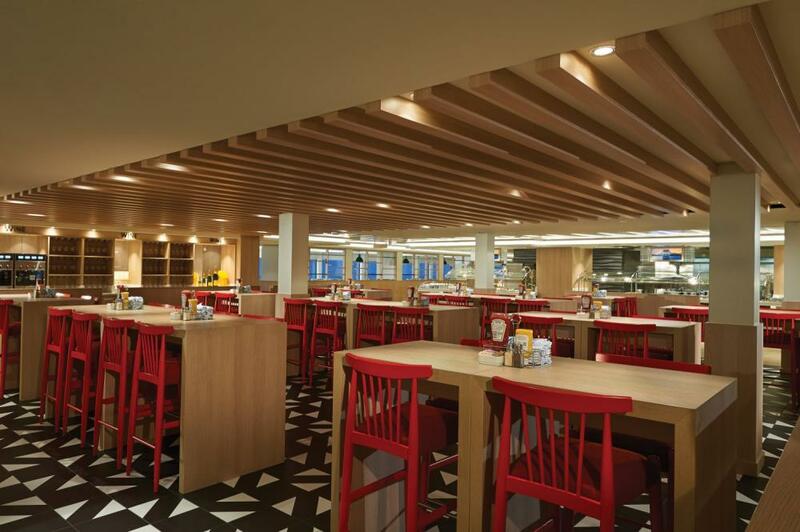 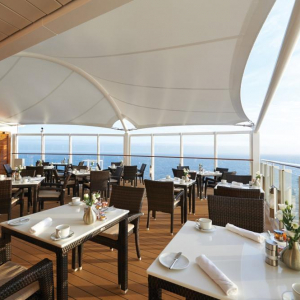 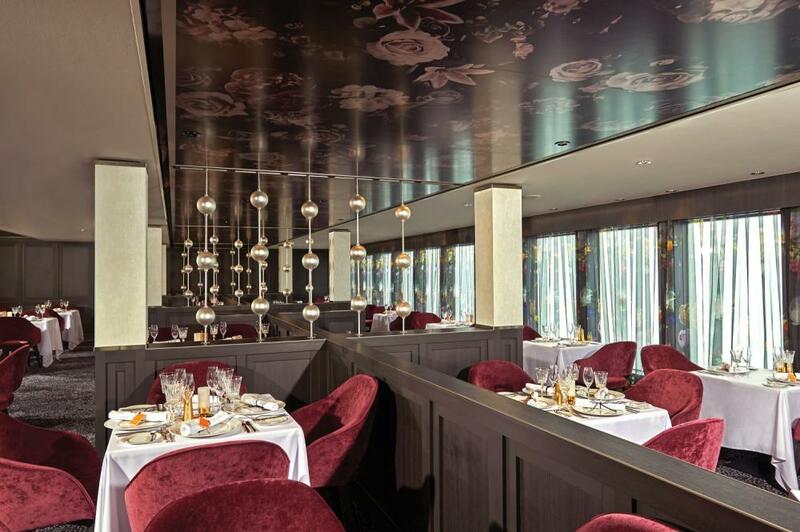 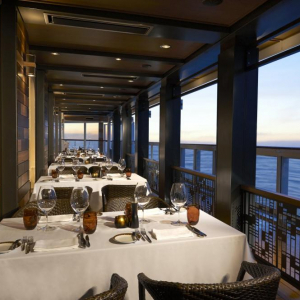 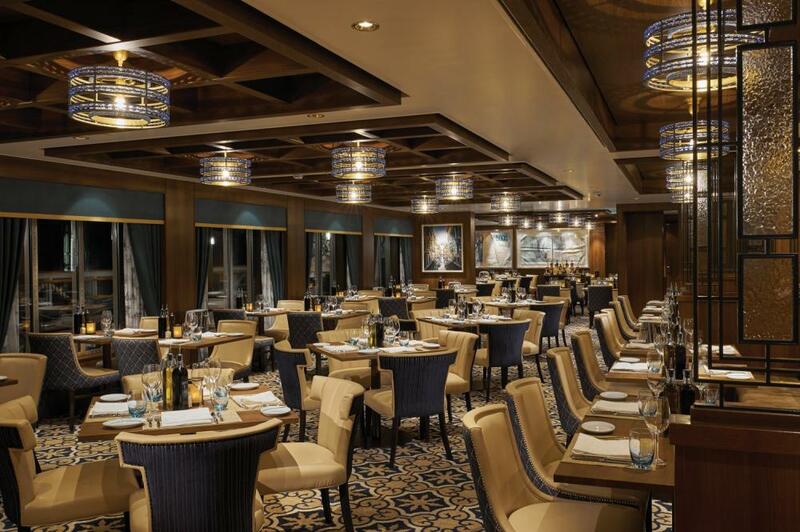 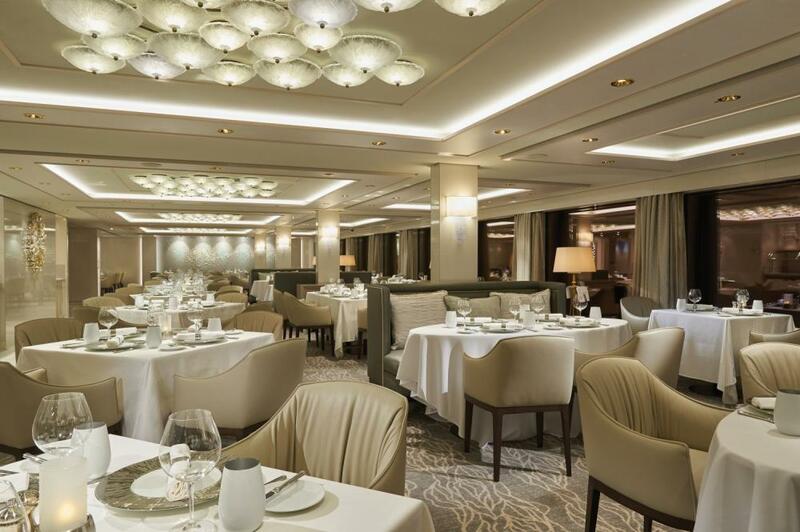 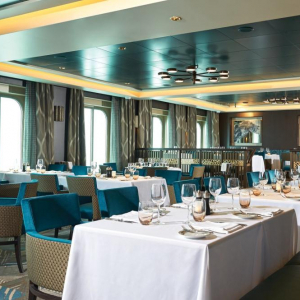 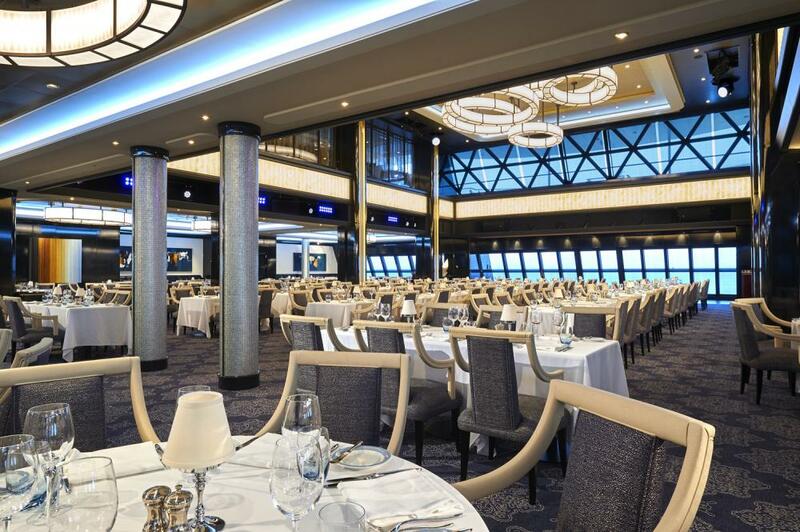 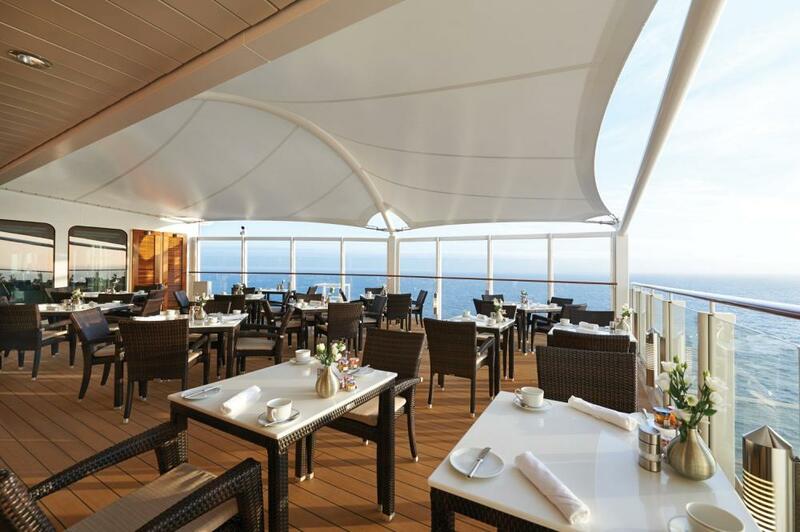 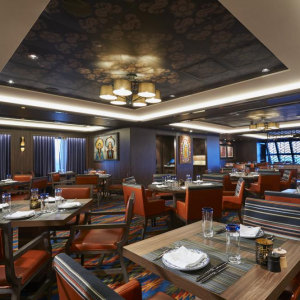 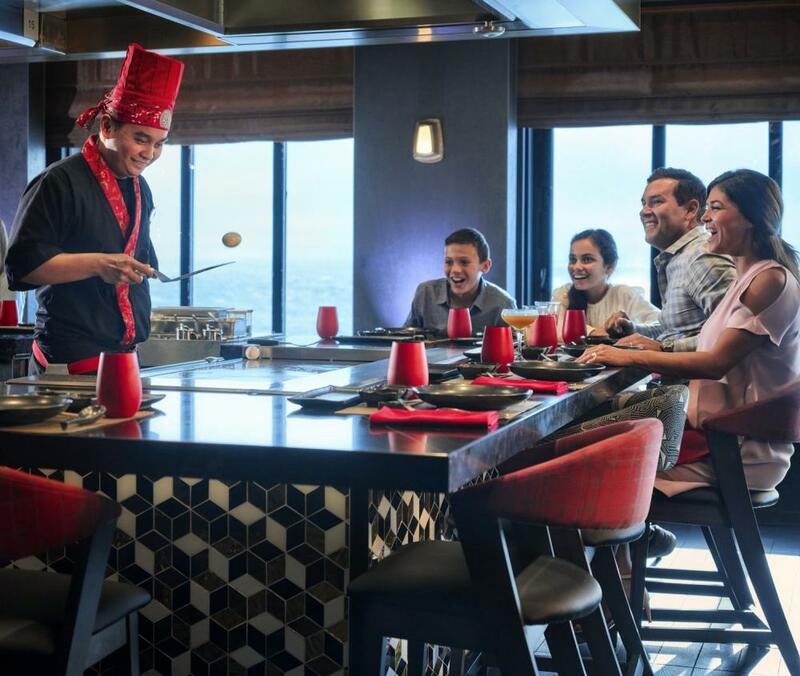 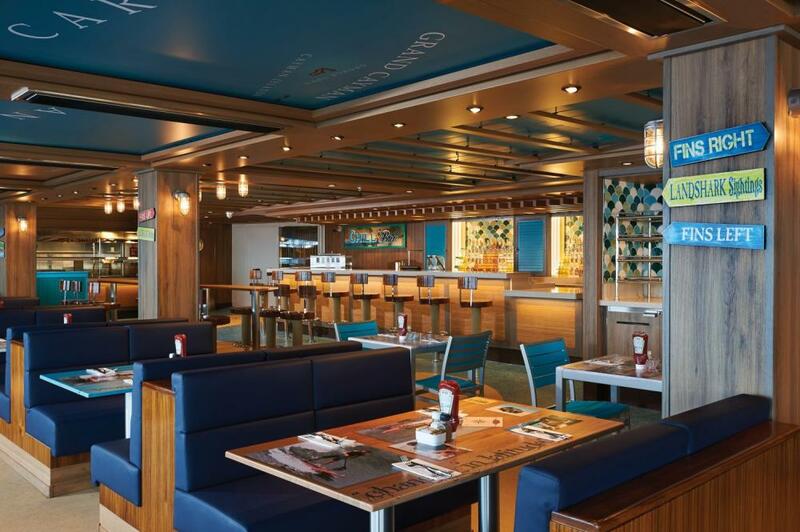 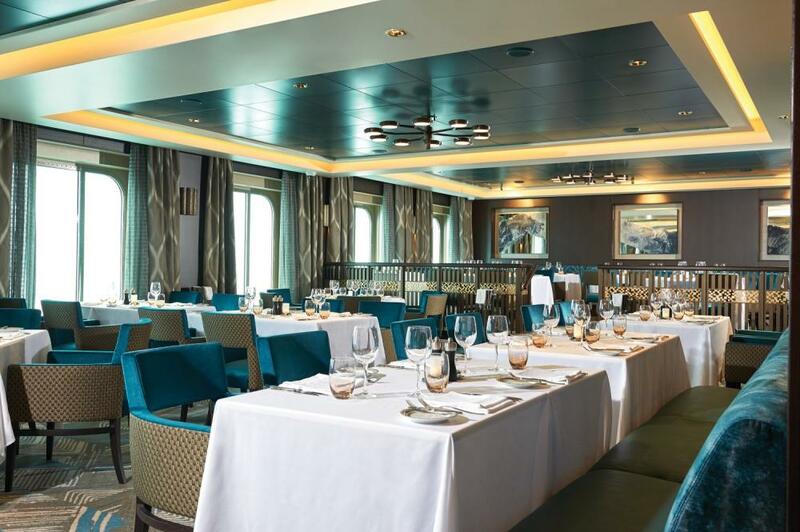 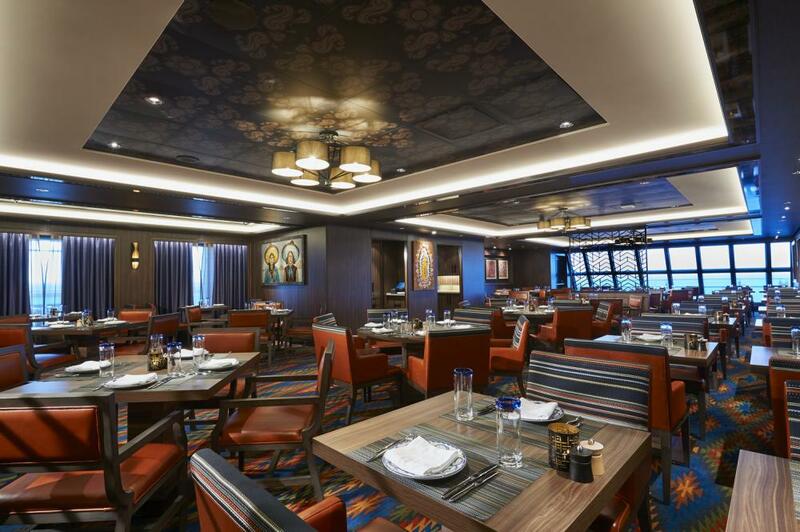 On the ship you will taste a variety of international dishes which will satisfy even the most demanding gourmets. 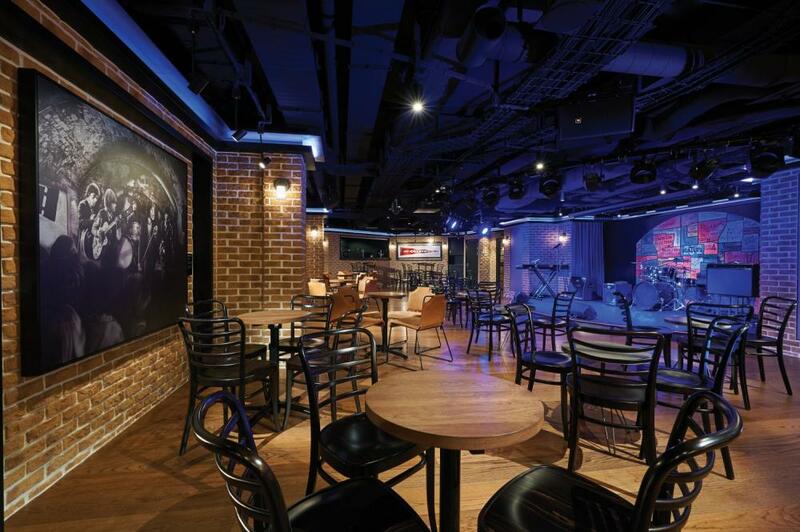 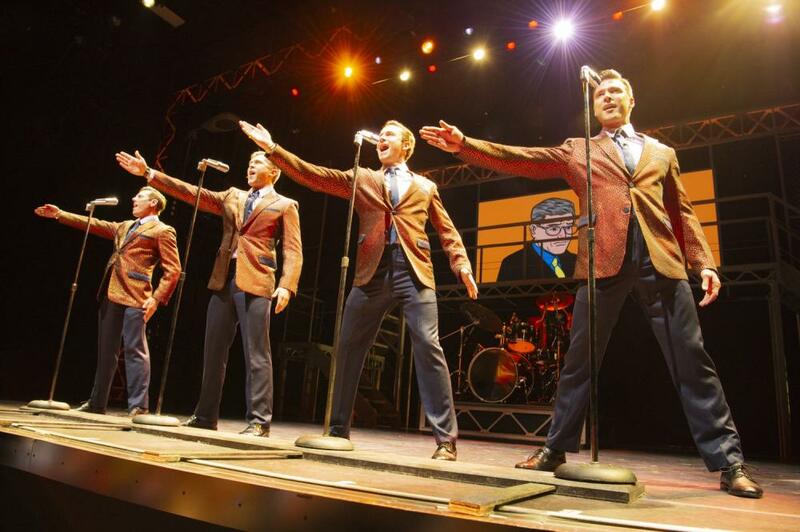 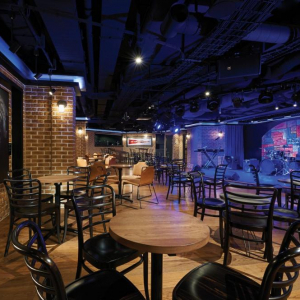 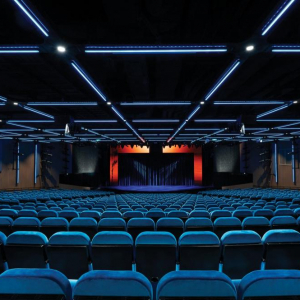 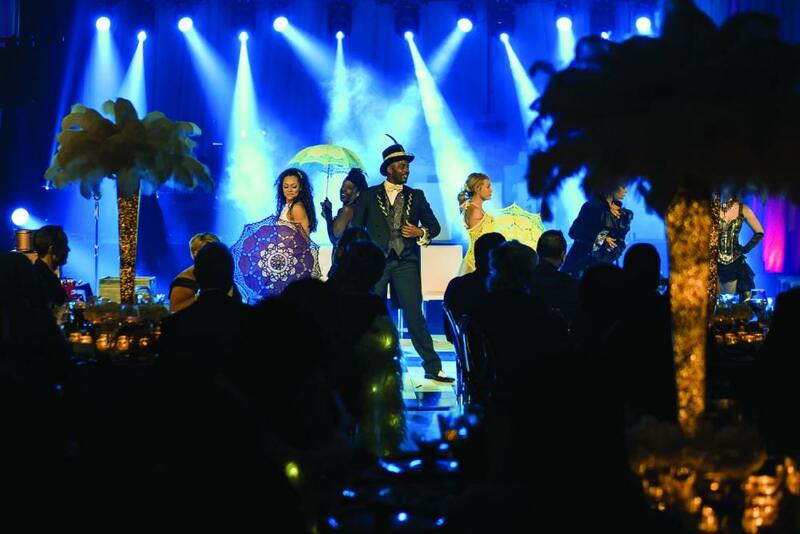 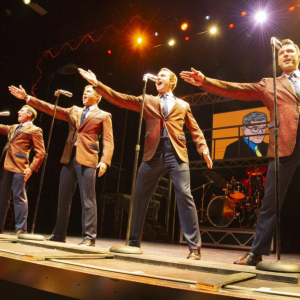 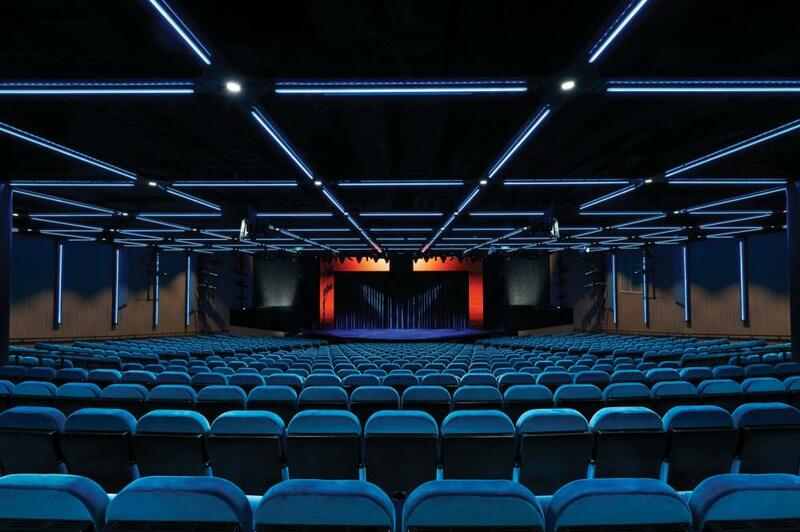 Concerts, dancing shows, cabarets, comedians and outstanding shows similar to those from Broadway – all of them will provide you with unforgettable memories. 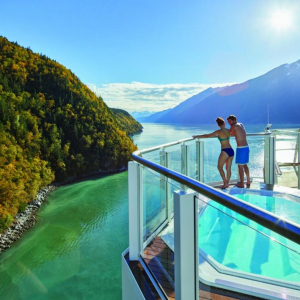 This custom-built cruiser for the spectacular Alaska features a revolutionary Observation Lounge for you to soak in every stunning moment. 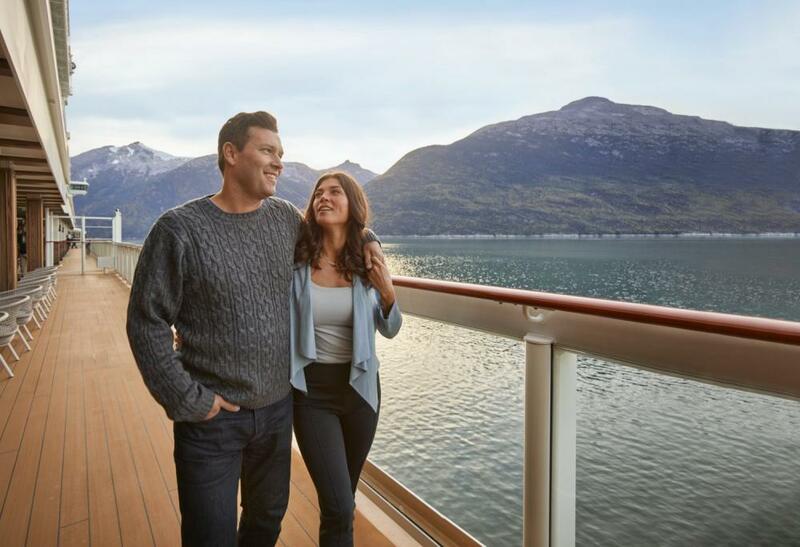 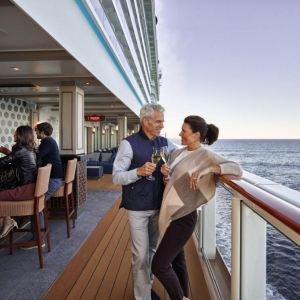 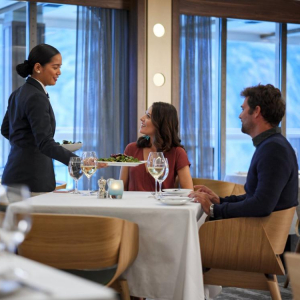 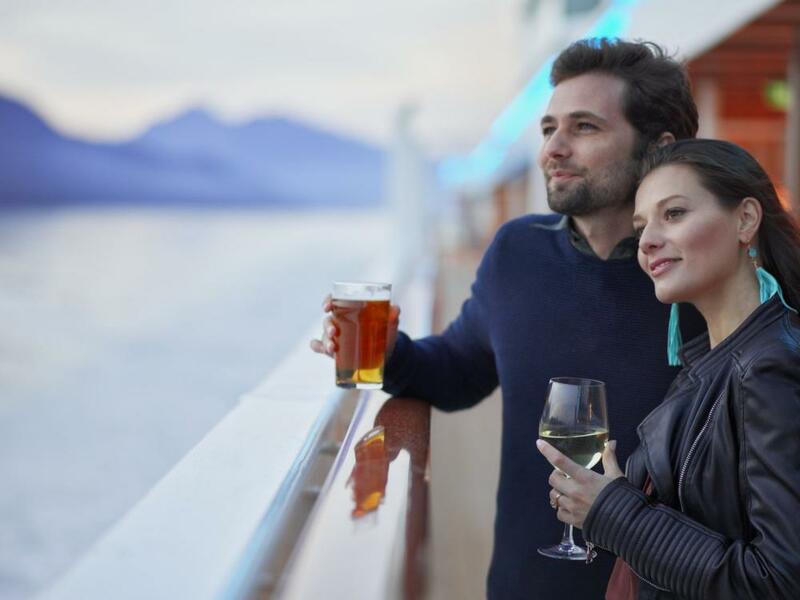 Come aboard and experience the best dining, entertainment and amenities at sea against a backdrop of unrivaled natural beauty. 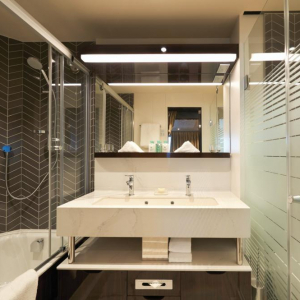 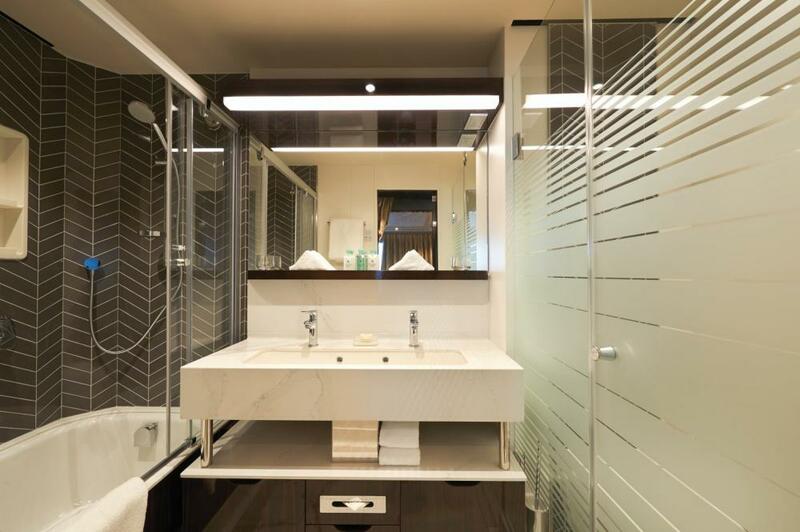 The Haven apartments are dedicated to the guests who value their privacy. 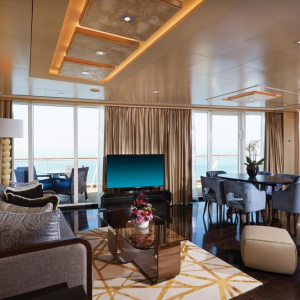 They feature our most luxurious, well-appointed accommodations as well as 24-hour butler service, concierge and private sundeck. 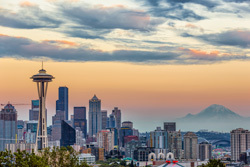 Seattle, with the Olympic and Cascade Mountains serving as a dramatic backdrop for this oh-so cosmopolitan city, sits on the slip of land between Puget Sound and Lake Washington. 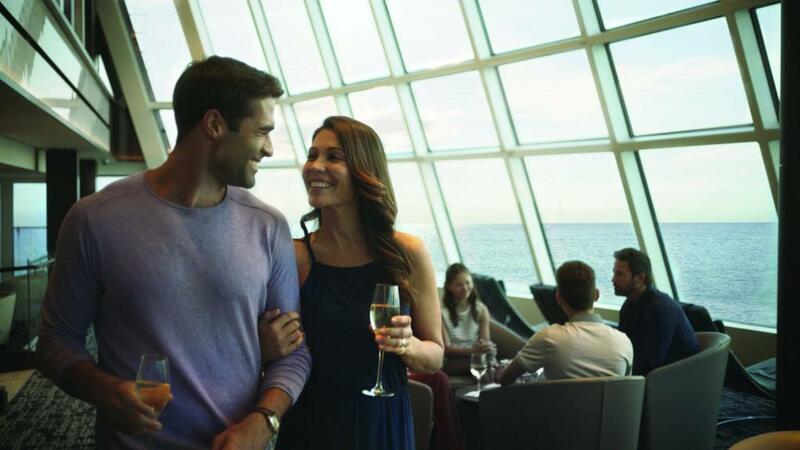 Soar up the futuristic Space Needle and experience the views atop this stunning landmark created for the 1962 World's Fair. 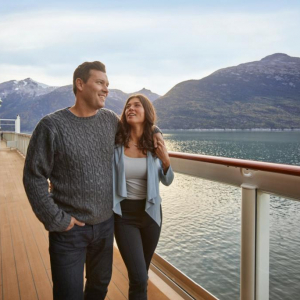 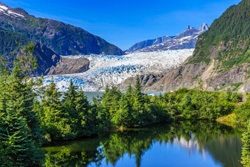 Juneau has been called “Alaska's peak experience,” certainly due in part to its unparalleled glacier viewing from such places as Tracy Arm Fjord, the Juneau Icefields and Glacier Bay National Park. 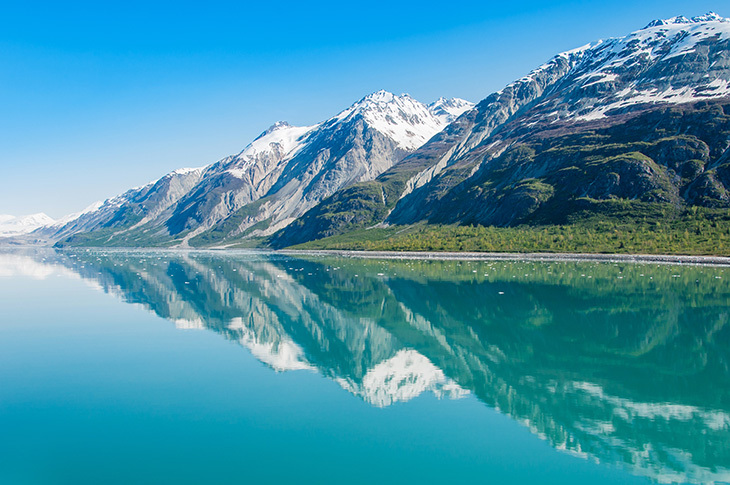 Kayak up one of the area's many protected waterways, go flightseeing, tour historic downtown or try your hand at panning for gold. 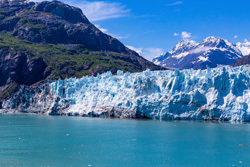 The majestic Mendenhall Glacier lies nearly 12 miles outside Juneau. 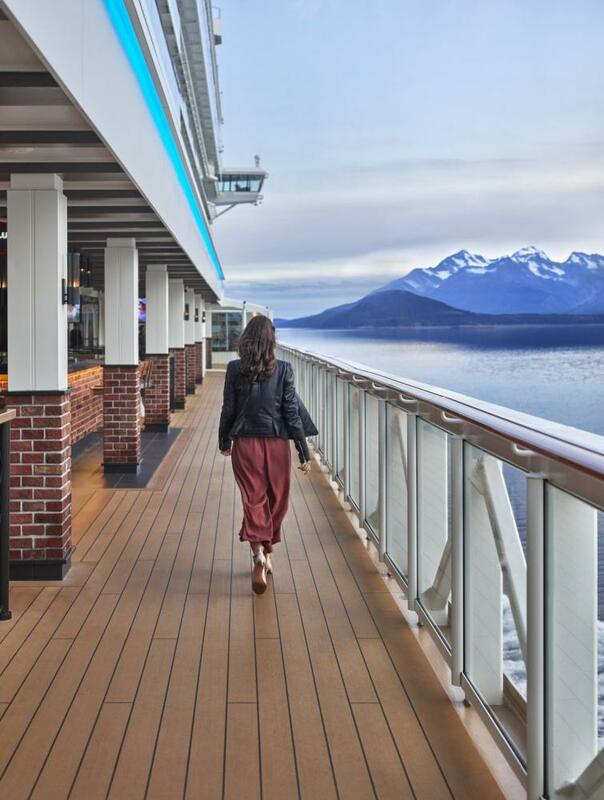 Perhaps because of its colorful history, Juneau is full of contrasts. 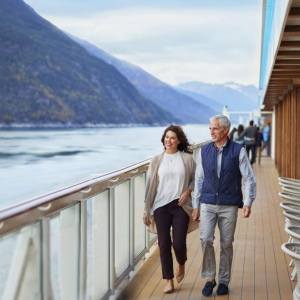 Its dramatic hillside location and historic downtown buildings provide a frontier feeling, but the city's cosmopolitan nature comes through in fine museums, noteworthy restaurants, and a literate and outdoorsy populace. 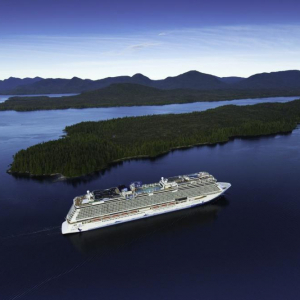 In a single year from 1896 to 1897, this remote town along the Inside Passage grew from a few tents to a city of 20,000 gold seekers. 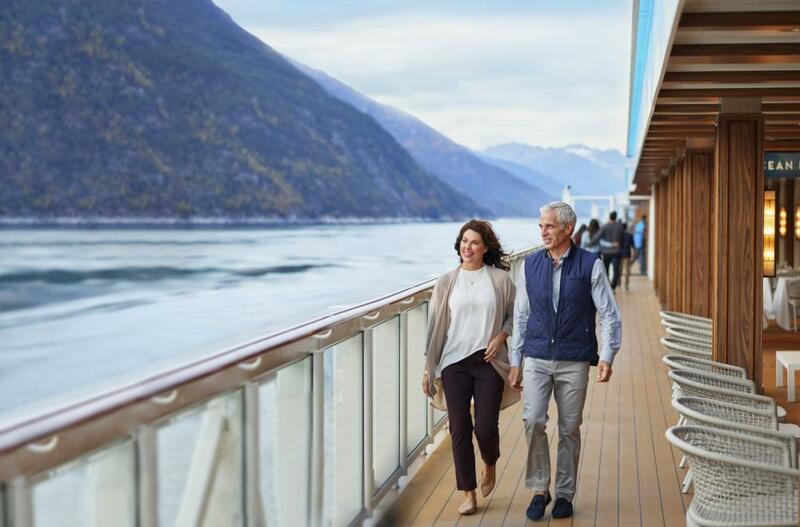 Today, travelers come in search of other riches – to experience yesteryear along Skagway's charming boardwalk lined with buildings that replicate those Gold Rush days. 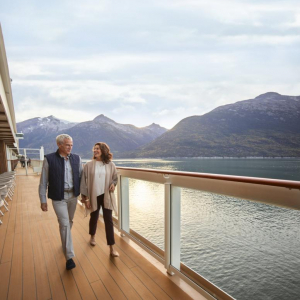 Nearly all the historic sights are within a few blocks of the cruise-ship and ferry dock, allowing visitors to meander through the town's attractions at whatever pace they choose. 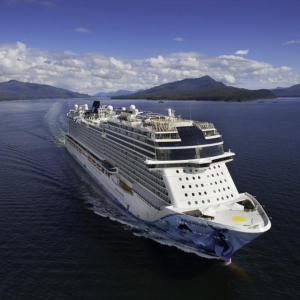 Ketchikan is famous for its colorful totem poles, rainy skies, steep–as–San Francisco streets, and lush island setting. 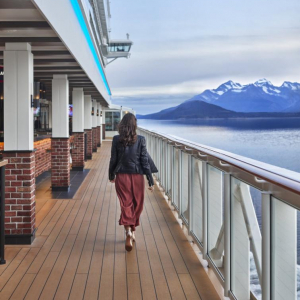 Some 13,500 people call the town home, and in the summer, cruise ships crowd the shoreline, floatplanes depart noisily for Misty Fiords National Monument, and salmon-laden commercial fishing boats motor through Tongass Narrows. 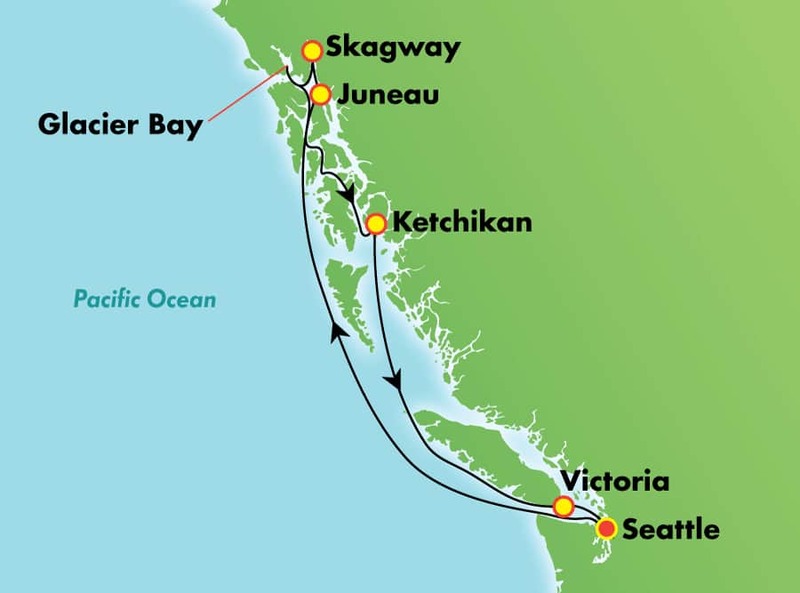 Its Tlingit Indian name, Kach Khanna, means "spread wings of the eagle." 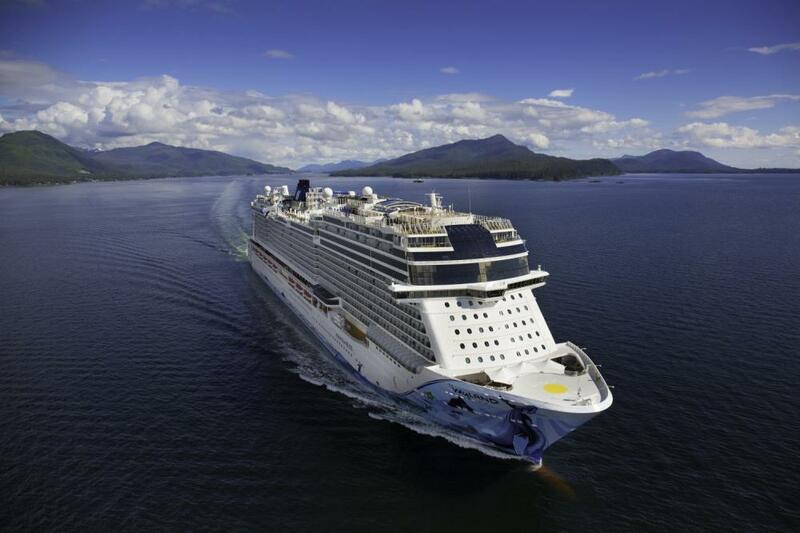 Chances are you'll see one of these magnificent birds perched atop a Sitka tree. 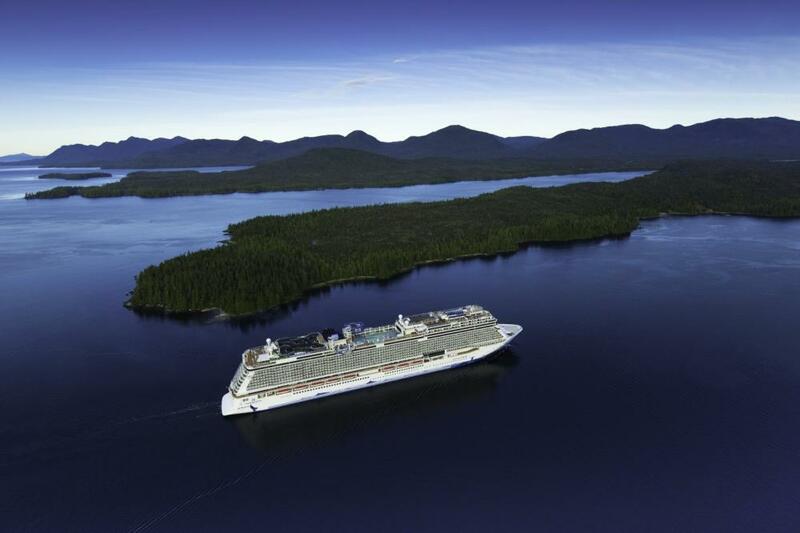 Thanks to its abundant rainfall, Ketchikan is surrounded by some of the world's most lush wilderness. 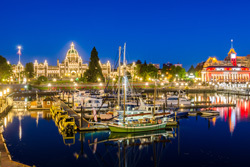 Victoria, the capital of a province whose license plates brazenly label it "The Best Place on Earth," is a walkable, livable seaside city of fragrant gardens, waterfront paths, engaging museums, and beautifully restored 19th-century architecture. 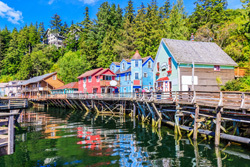 In summer, the Inner Harbour –Victoria's social and cultural center – buzzes with visiting yachts, horse-and-carriage rides, street entertainers, and excursion boats heading out to visit pods of friendly local whales. 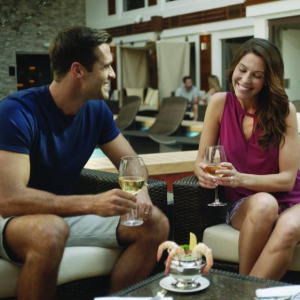 Roam the spacious lawns of stunning Butchart Gardens with its exotic flora, unusual topiary and exquisite fountains. 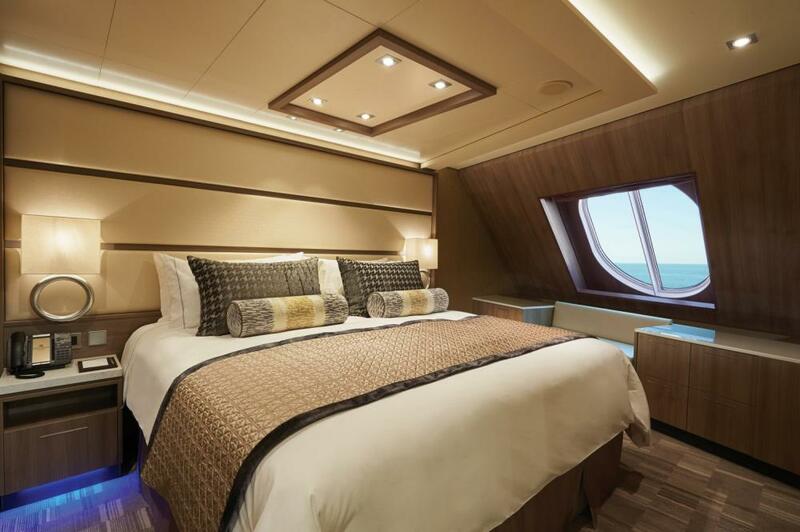 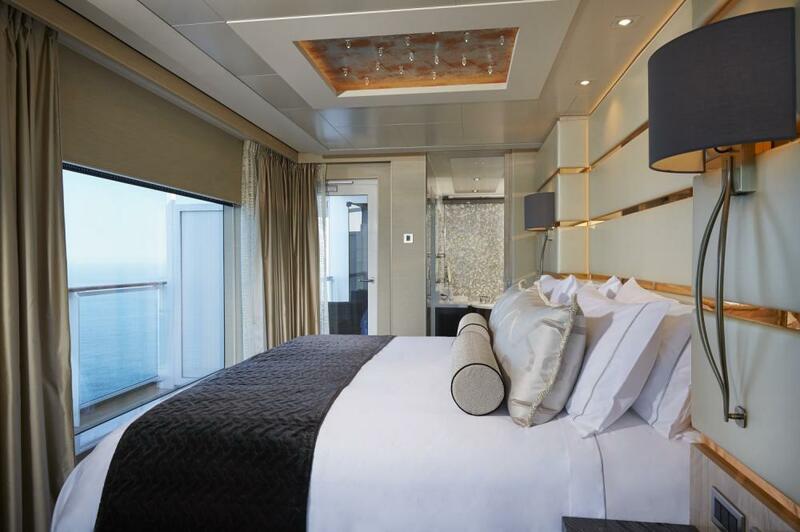 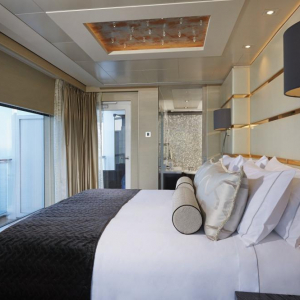 In order to guarantee our guests the highest standard of travel, we included into the price package the Mid-Ship Room with Balcony. 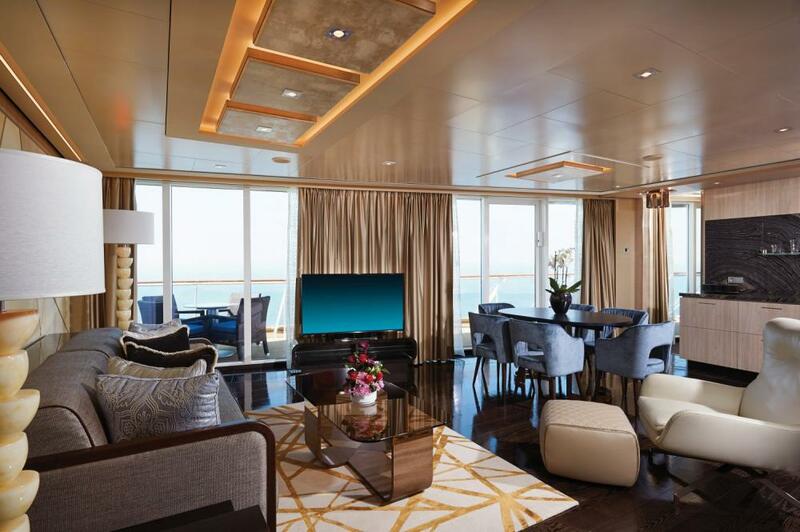 This stylish, sophisticated and modern room offers amazing views from your own private balcony to which you have access through the floor-to-ceiling glass doors. 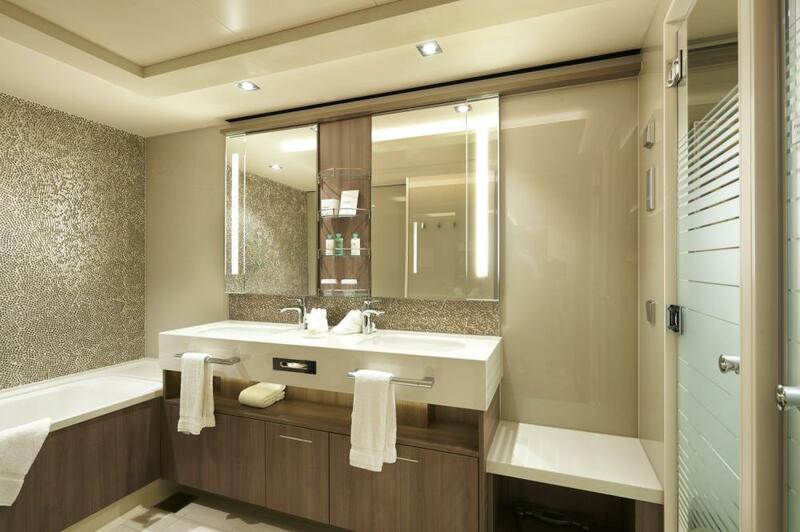 Please contact us, if you are interested in the Haven Suites upgrade. 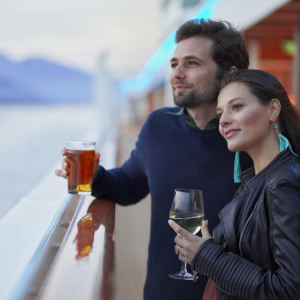 No matter your journey, it is important to know what to expect throughout your trip and to feel confident in your selections. 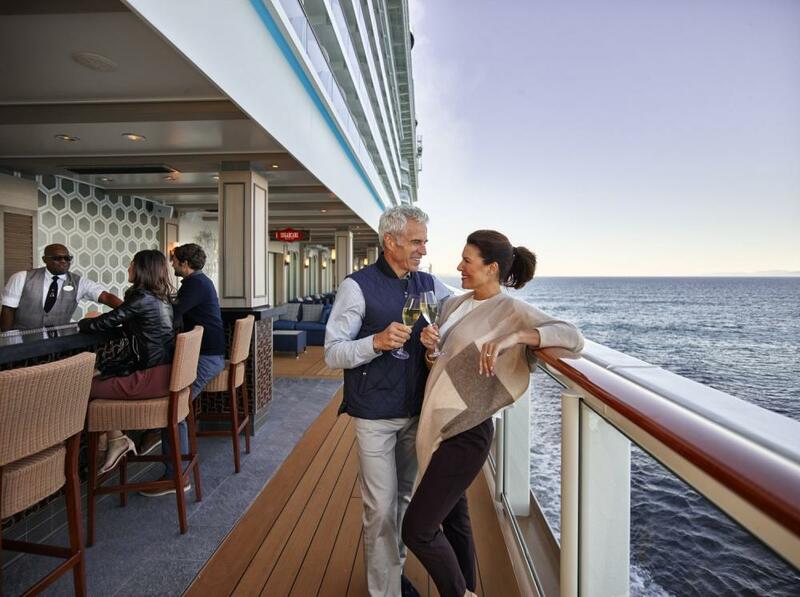 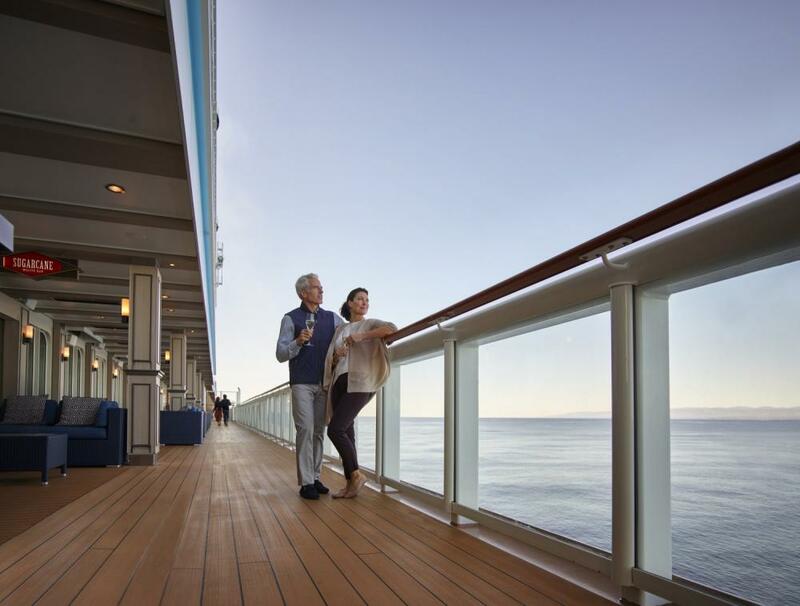 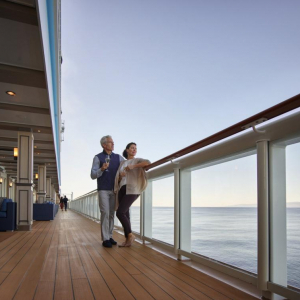 Learn about all of different onboard services and options to help you choose what is best for you. 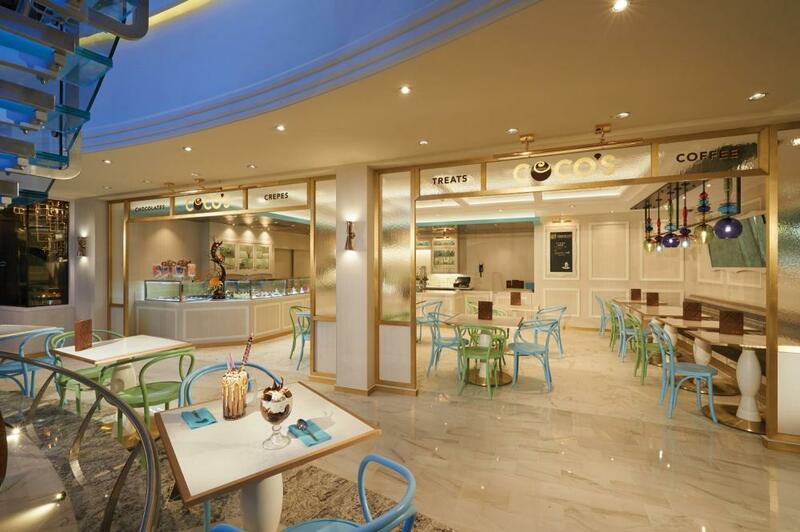 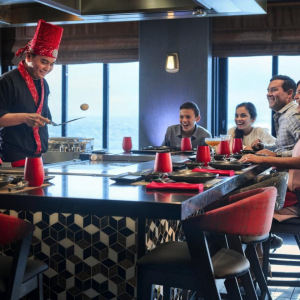 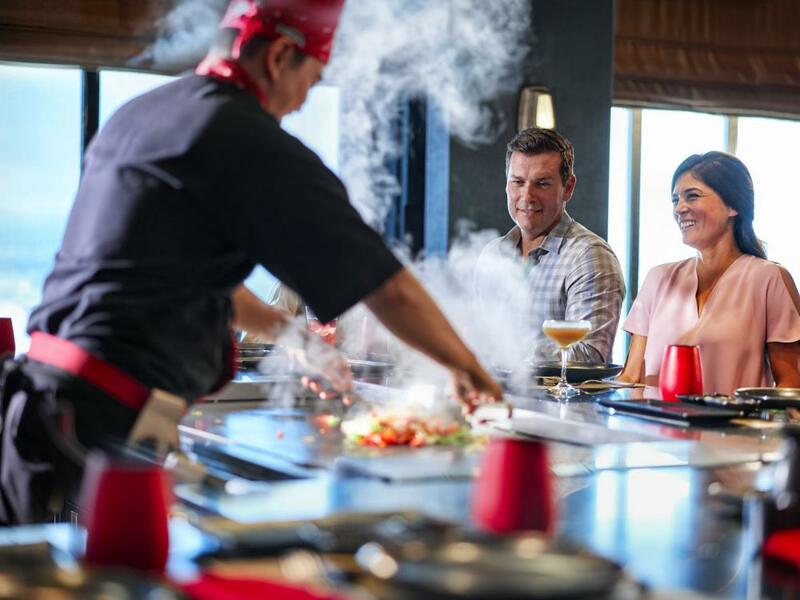 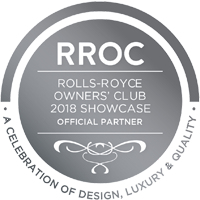 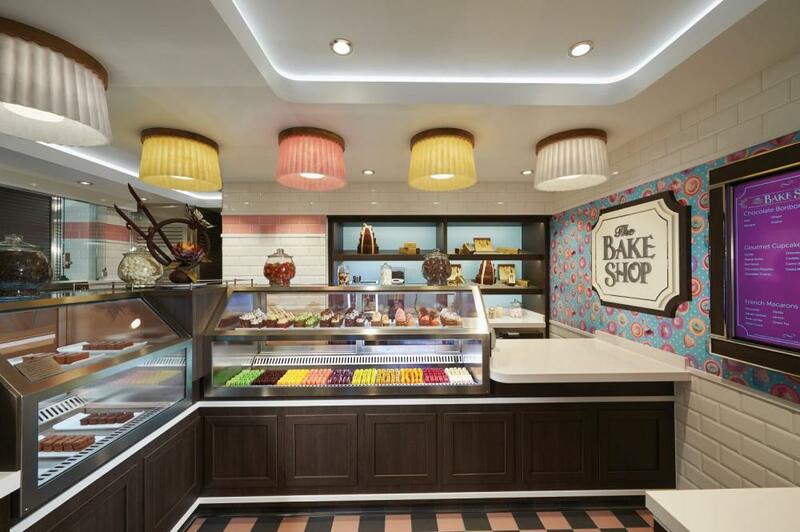 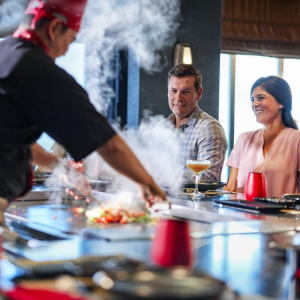 Serving a wide variety of culinary delights to please every palate, the complimentary dining options include three Main Dining Rooms, a help-yourself buffet and a variety of casual cafés, grills and on-the-go choices. 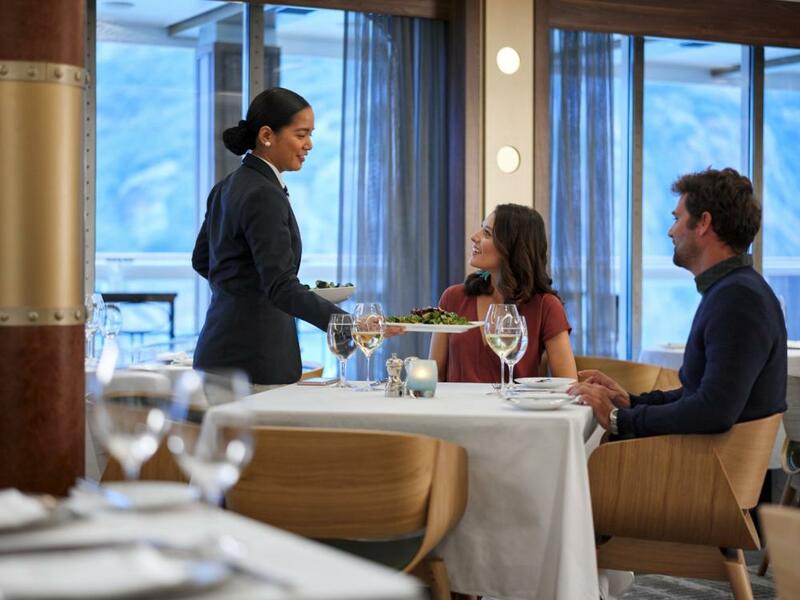 Plus, all Main Dining Rooms offer a menu that changes daily, Chef's Signature Dishes and carefully selected wine recommendations, guaranteeing a different culinary adventure with every visit. 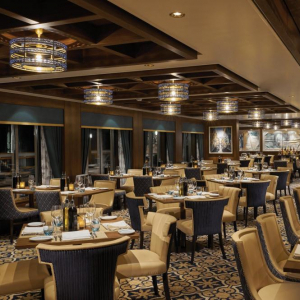 In La Cucina you can enjoy the flavors of the Tuscan countryside al fresco alongside the sea, or indoors at tables with room for old and newly met friends. 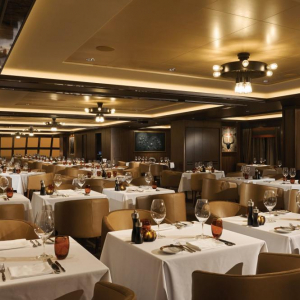 Try a twist on a classic like lobster fettuccine, or keep it purist with a pasta carbonara. 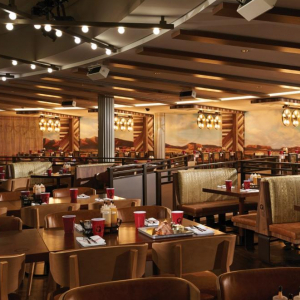 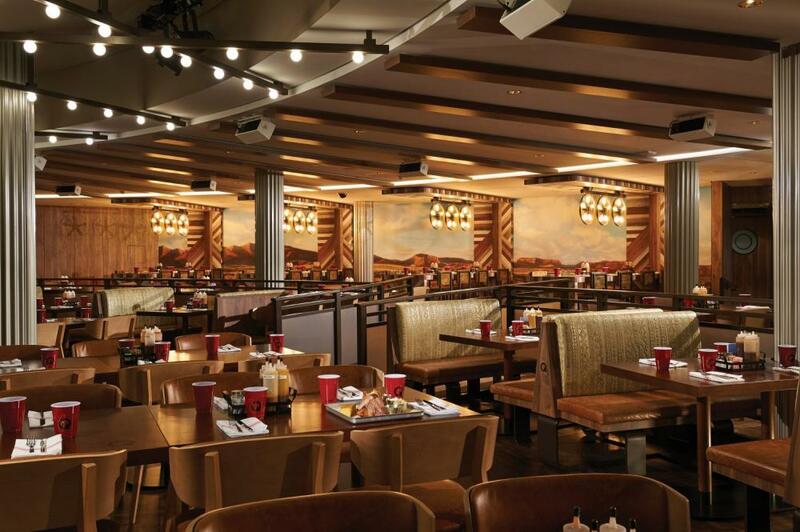 If you have a craving for an American-style steak, then Cagney’s Steakhouse is just right for you. 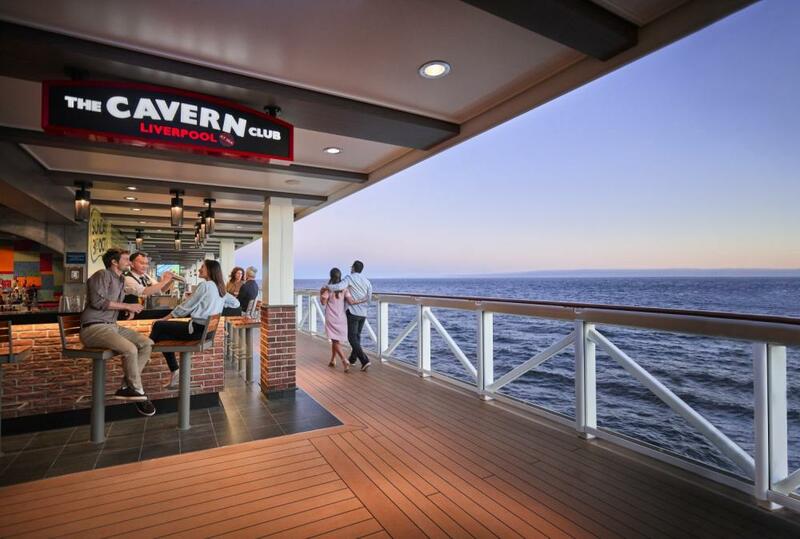 Pull up a seat along The Waterfront and take your pick from premium cuts. 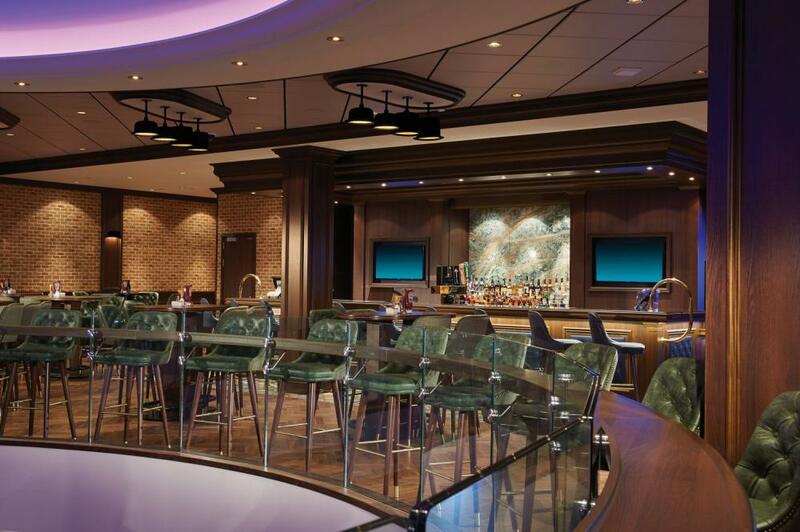 Your mouth will water, so sip your favorite cocktail in anticipation. 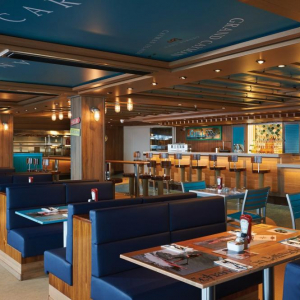 Do not forget to order made-from-scratch jumbo crab cakes and a side of their famous truffle fries. 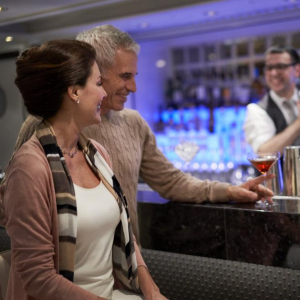 Whether you are looking to meet up with friends or make new ones, there is always an opportunity to mix it up. 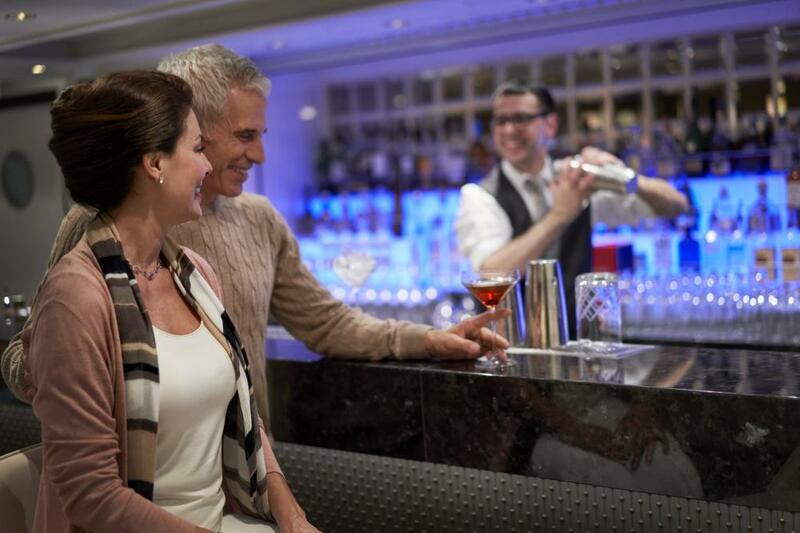 With so many bars and lounges to discover, finding your favorite may take a few days. 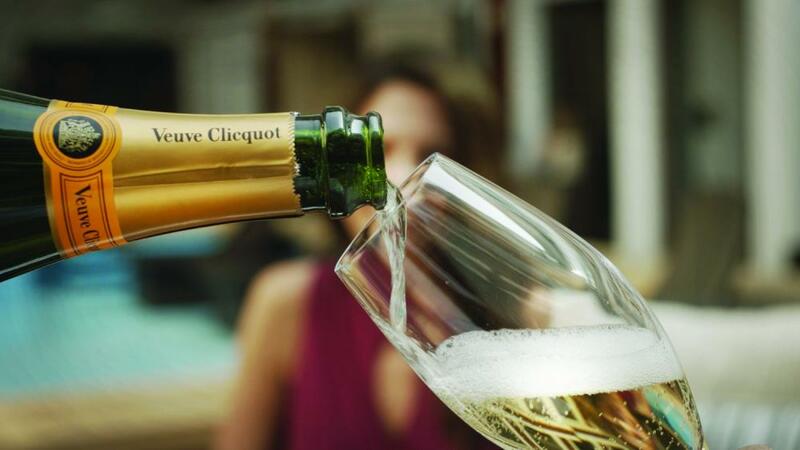 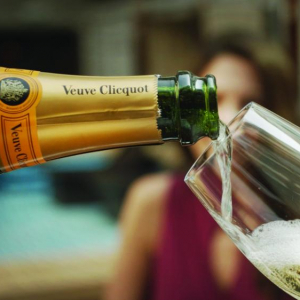 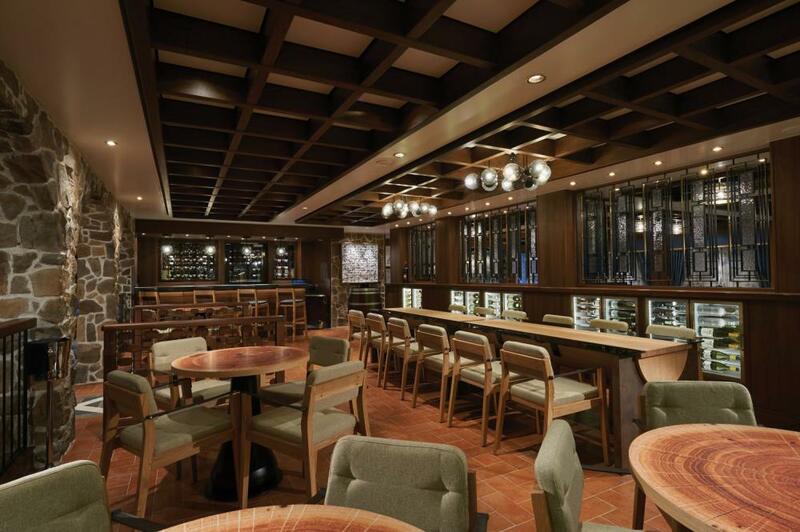 Pull up a stool on The Waterfront and pair your favorite vintage with soothing waves at The Cellars – A Michael Mondavi Family Wine Bar. 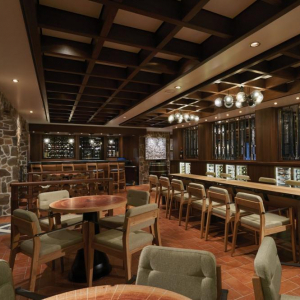 Grab a freshly muddled mojito anytime you like at Sugarcane Mojito Bar or let your hair down in The District Brew House, offering more than 50 different bottled beers and 24 draft beers on tap. 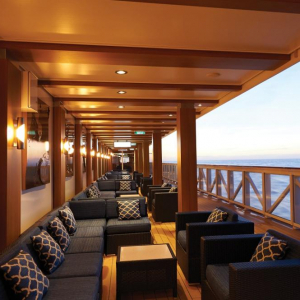 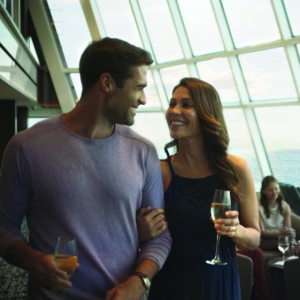 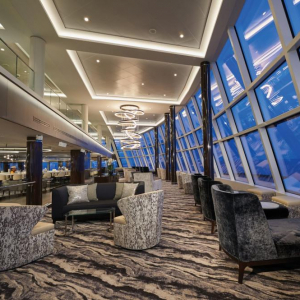 Exclusively for guests of The Haven, located on decks 17 and 18, the two-store forward facing Horizon Lounge offers breathtaking panoramic views. 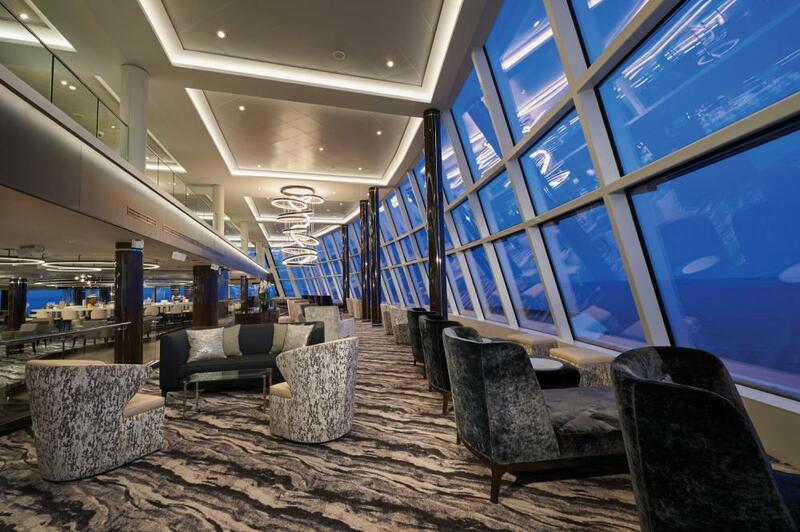 Moreover, you can enjoy spectacular 180° panoramic views from Observation Lounge that also serves as a full-service bar opened to all guests. 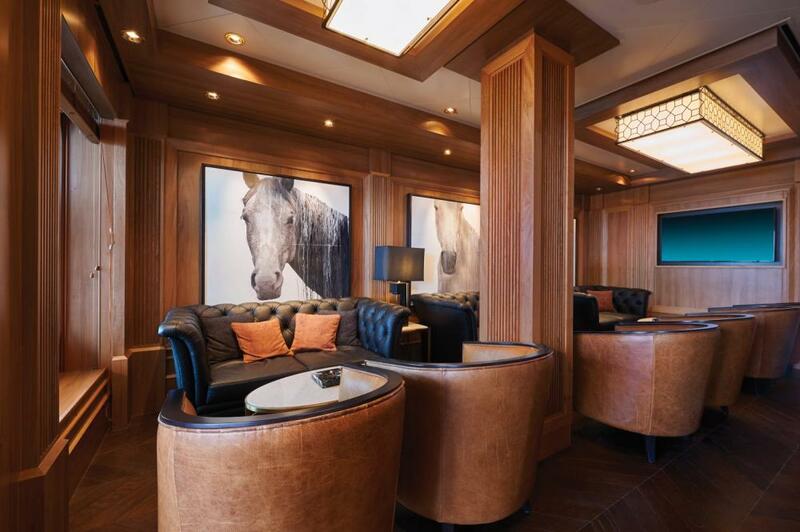 To recline and connect with friends, both new and old, bring your favorite whiskey cocktail from Maltings into Humidor to pair with a good smoke. 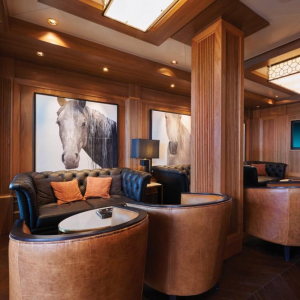 With comfortable leather chairs and a fully-stocked humidor, this is the ideal setting to meet up for a drink with friends before or after dinner. 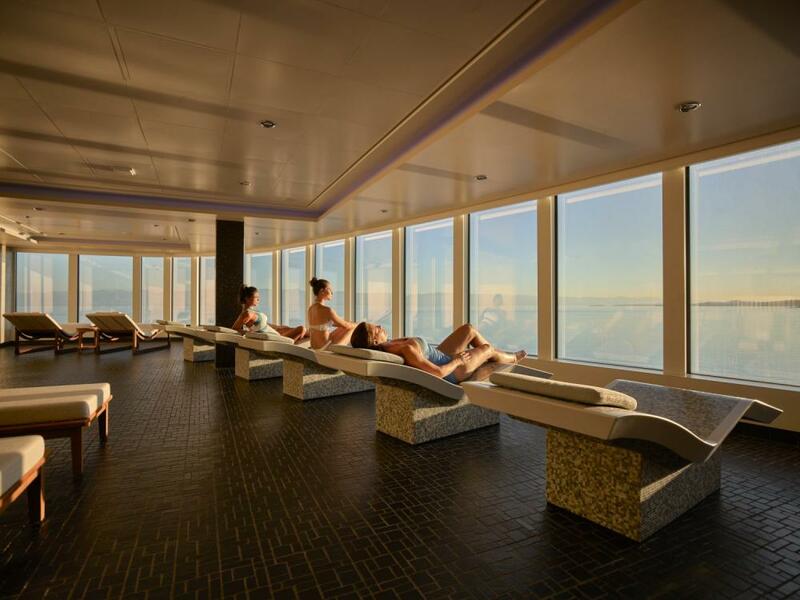 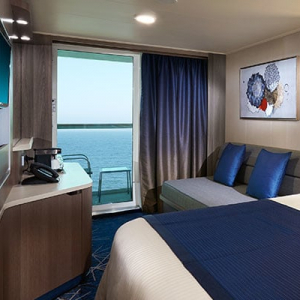 Top off spectacular days with legendary nights aboard Norwegian Bliss. 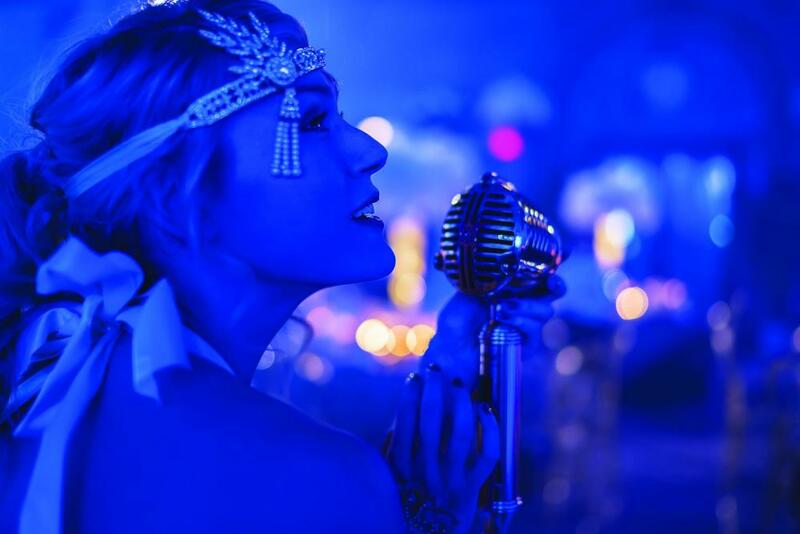 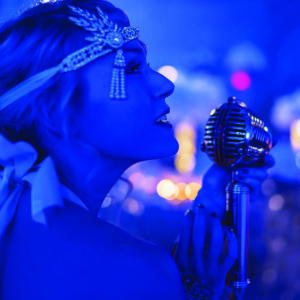 Spend an evening in a swinging speakeasy on the eve of Prohibition. 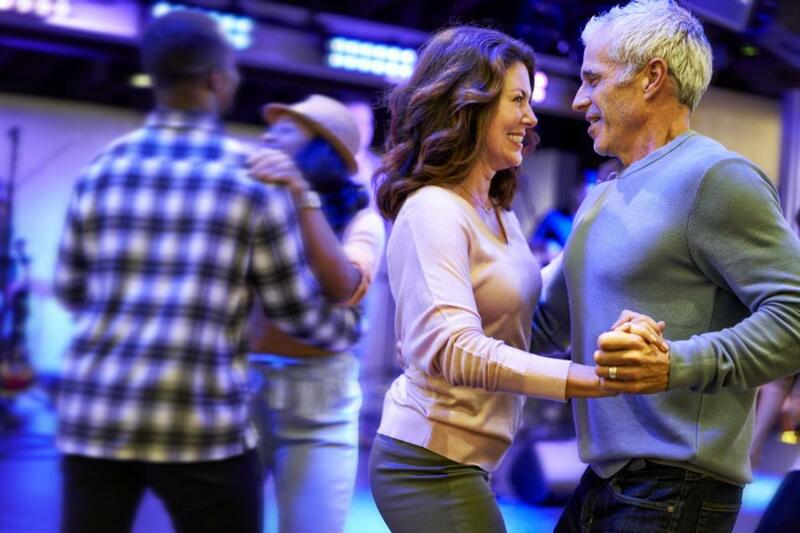 Perfect your dance moves and clear your pipes as you go on an incredible audible journey with The Four Seasons in a Tony Award®-winning musical. 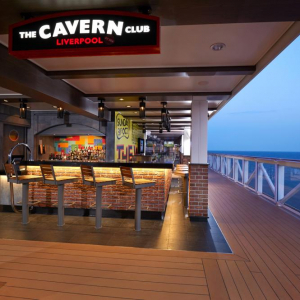 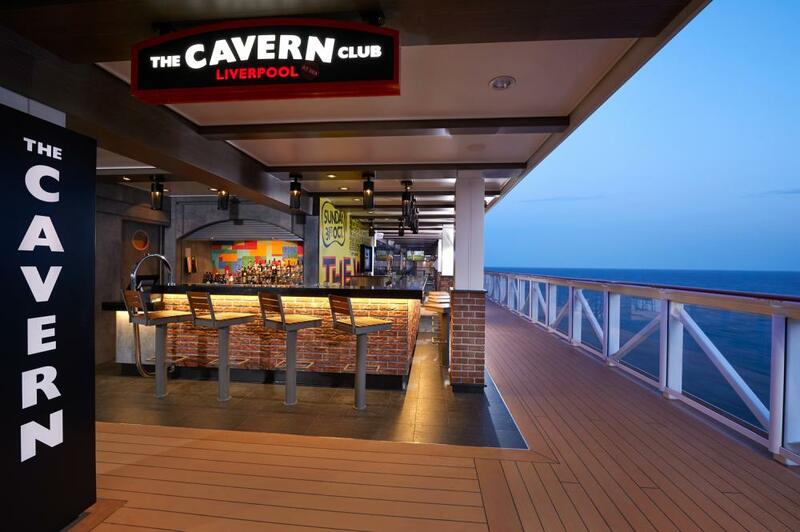 Fans of the Beatles should not miss a night rocking out in the famous Liverpool nightclub where the band played. 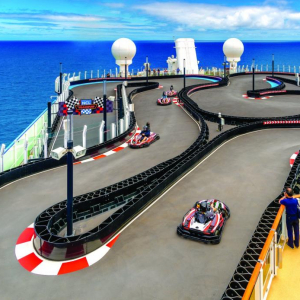 If you are interested in a little excitement then burn rubber on the largest racetrack at sea and next challenge your friends or family to some friendly competition on the Aqua Racer. 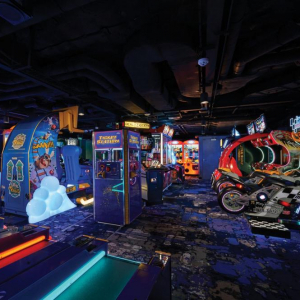 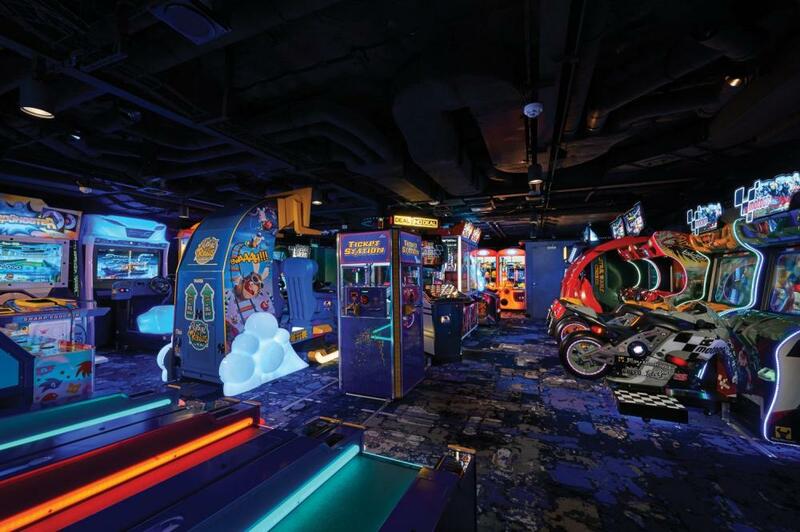 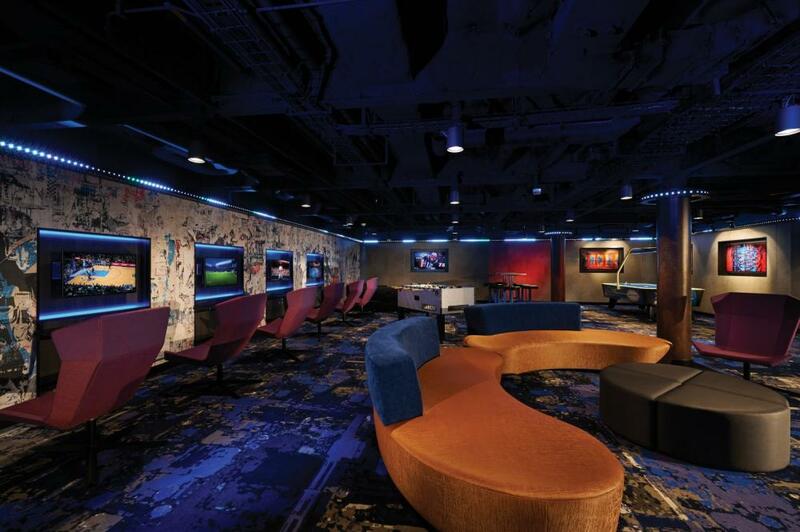 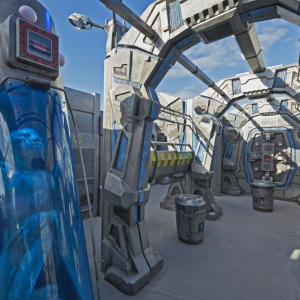 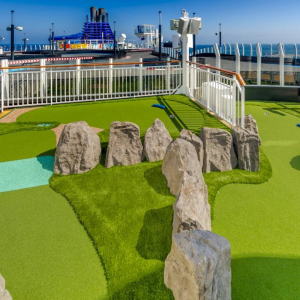 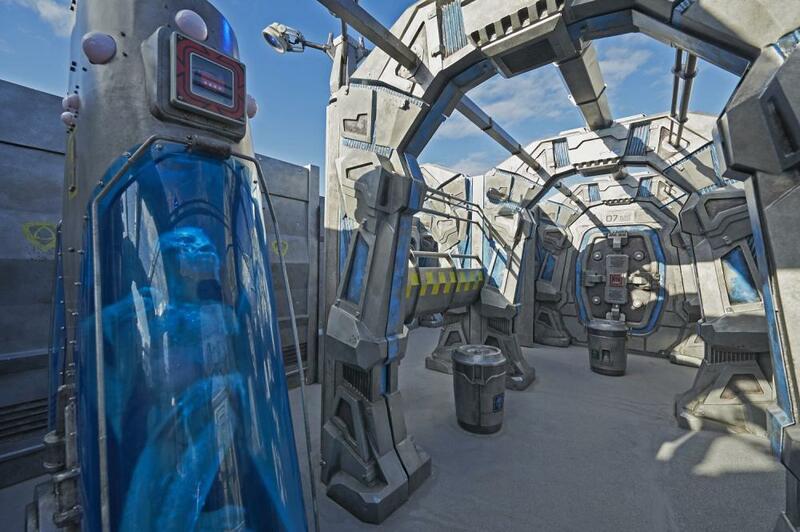 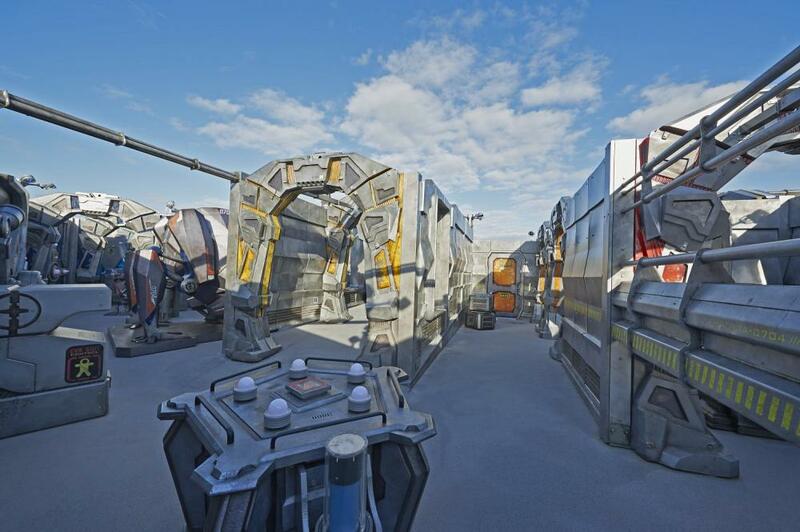 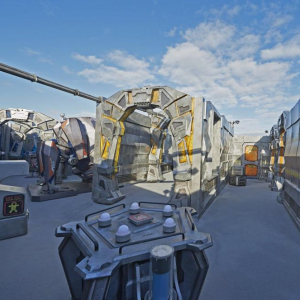 Dare to whoosh over the side of the ship on Ocean Loops before dodging lasers during an exhilarating game of laser tag. 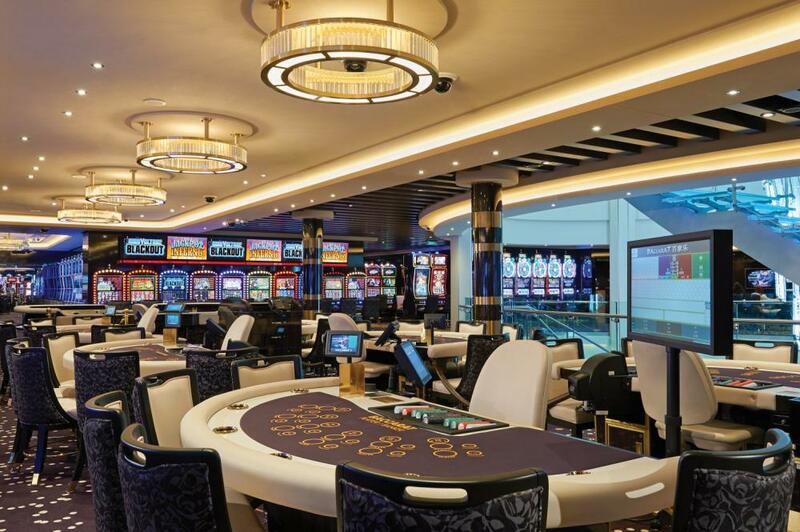 Top off all your victories by hitting the jackpot in the Bliss Casino – where an electric atmosphere buzzes late into the night. 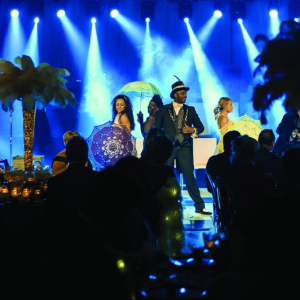 However, in Entourage which focuses on movies, art, music, video games and dance parties, and that is a retreat for teens looking to have fun and hang out with people their own age – one thing is for sure: absolutely, positively, no parents allowed. 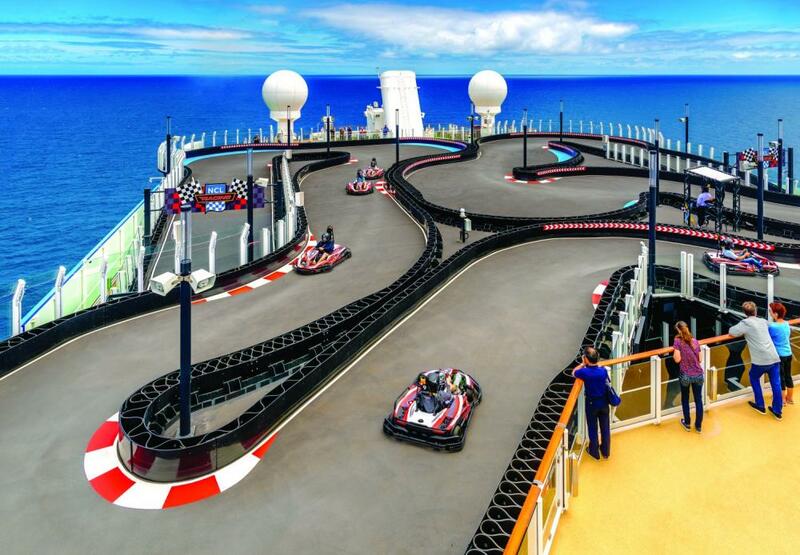 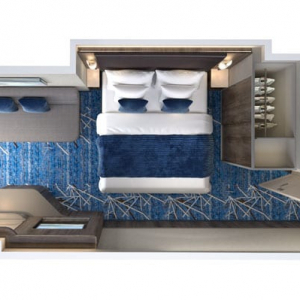 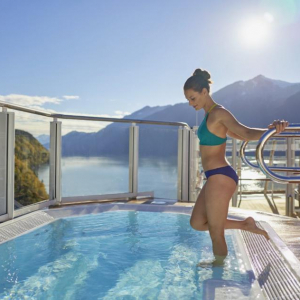 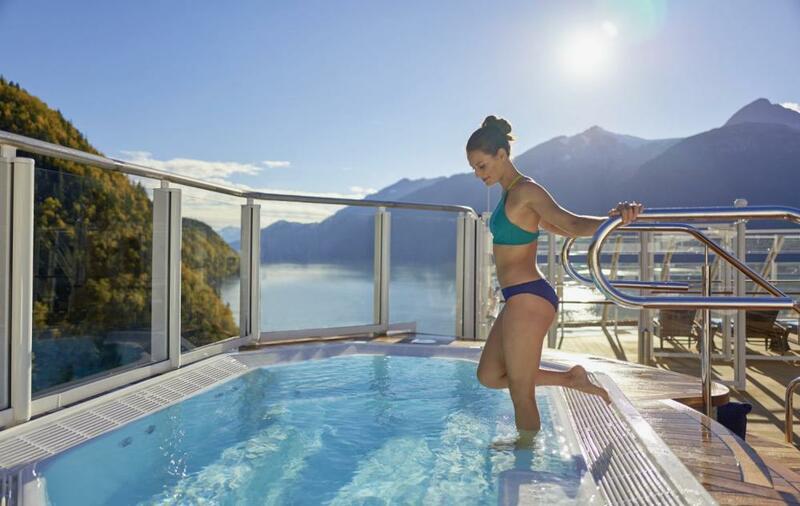 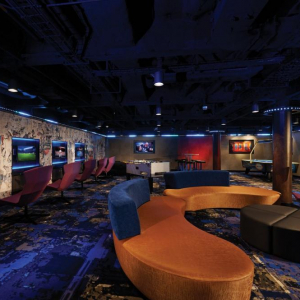 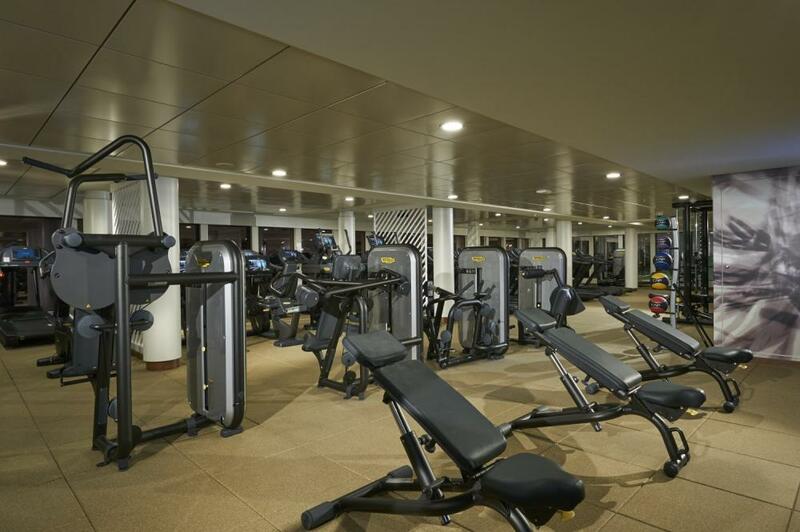 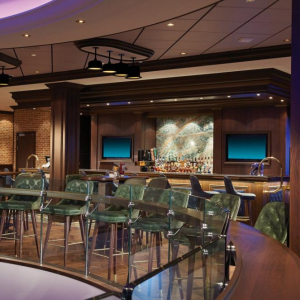 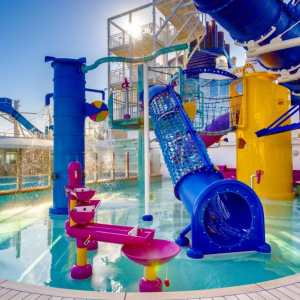 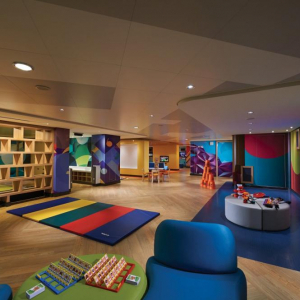 Staying fit with Norwegian Bliss has never been easier. 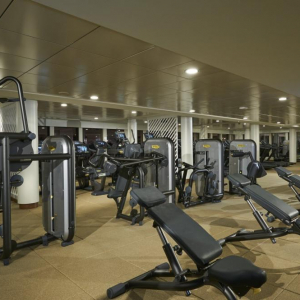 You can visit the state-of-the-art fitness center to feel the burn or get your heart rate up at Ryde, our indoor spinning class. 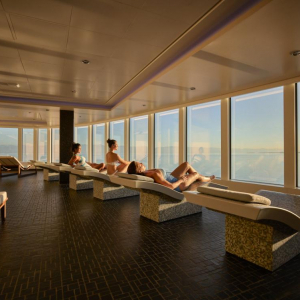 Also, you can feel totally Zen during a Pilates session, break a sweat while pumping some iron, or seek inner peace with an ocean view yoga class. 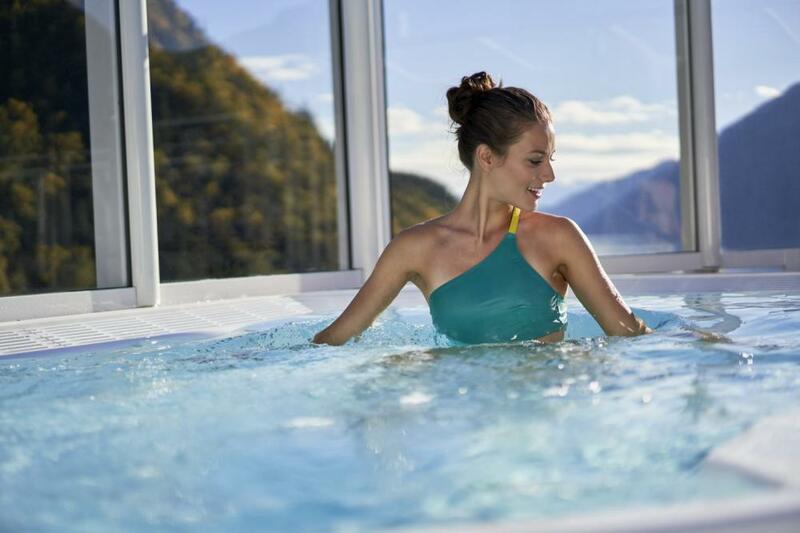 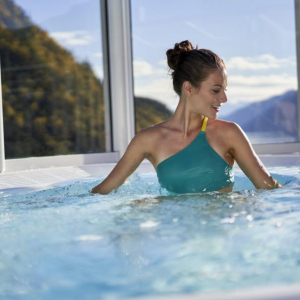 However, there are plenty of other ways to be pampered like for instance by unwinding in the Thermal Suite with a steam or a dipping in the Vitality Pool. 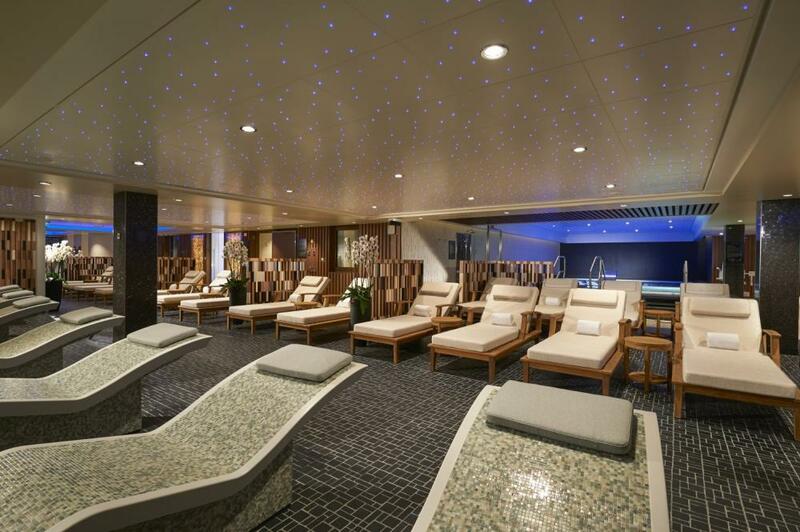 Do not forget to check out the Salt Room, chill out in the Snow Room, or simply indulge in a hot-stone massage. 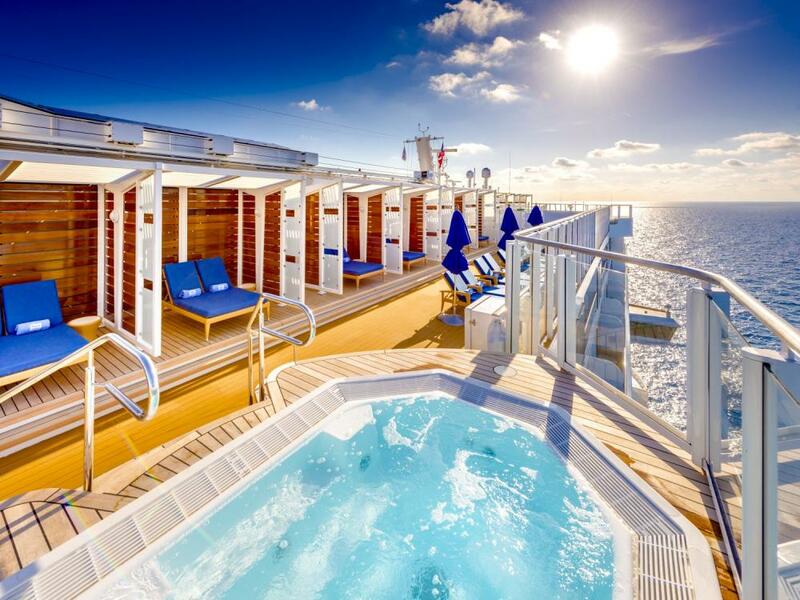 And if you forget to pack something – no worries! 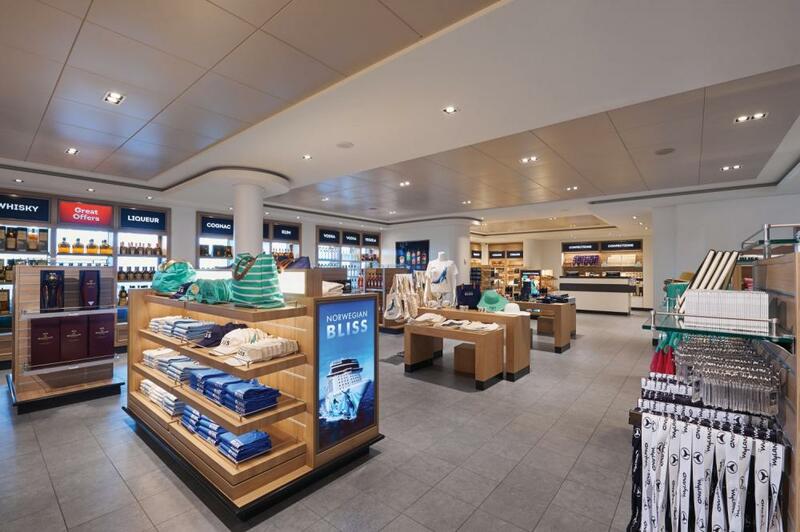 The onboard gift shops carry everything you will need for fun in the sun. 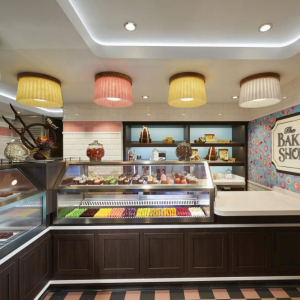 You can shop from a variety of souvenirs, cosmetics, clothing, snacks and sundry items. 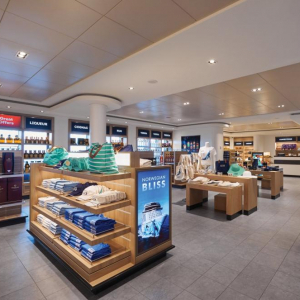 Treat yourself – there are many duty-free shops full of fantastic savings on fine jewelry, accessories, perfume, liquor and tobacco. 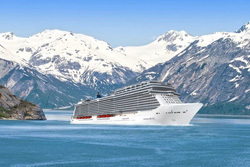 In order to book your place on Alaska Cruise with Dr. Zahi Hawass CLICK BELOW on Book Now button and follow the instructions.